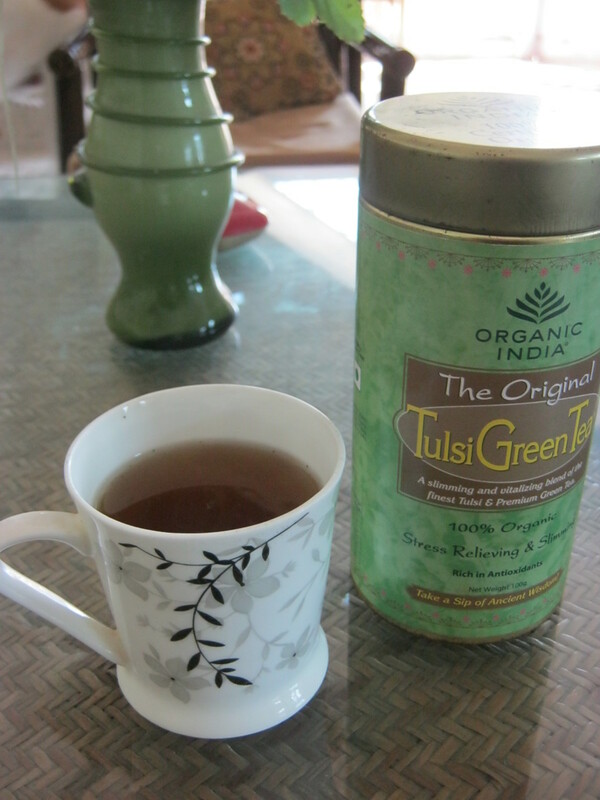 This is my review of Organic India Tulsi Green Tea. This is an unsponsored review. 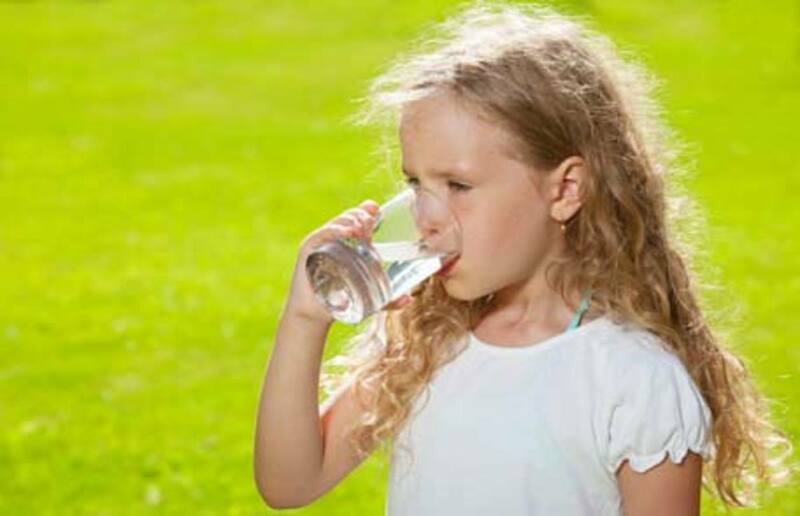 People are starting to wake up to the fact that not all drinking water is created equal, and that it IS important to drink water. 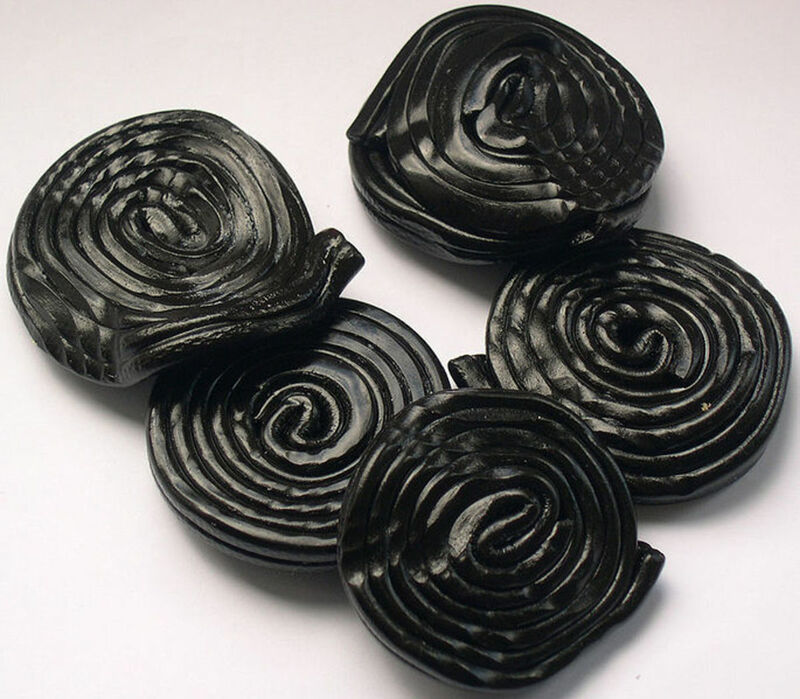 Black fungus can reduce cholesterol levels. Incorporate it into your diet by simply low-boiling black fungus in a slow cooker with ginger and red dates. 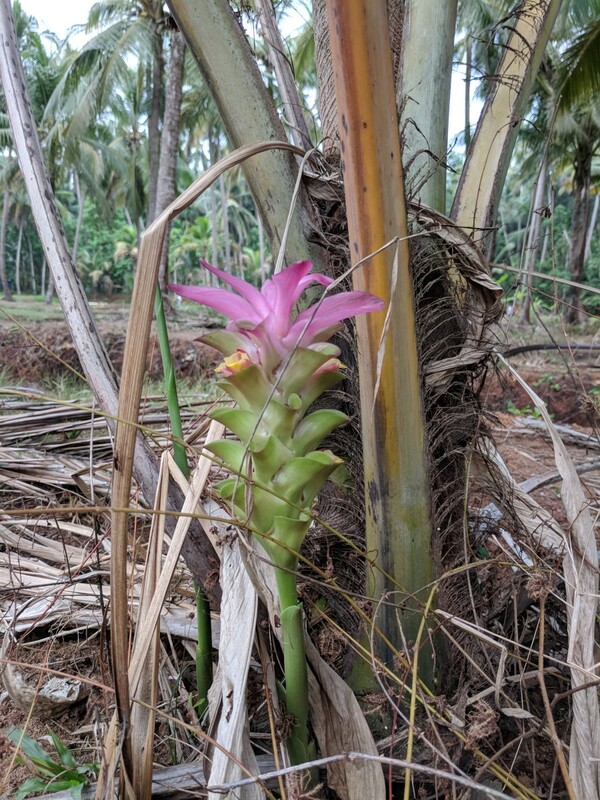 Cerasee is probably one of the most bitter medicines, feared by most people from the Caribbean (and anyone else who tries it) because of its taste, but one that holds numerous medicinal benefits. 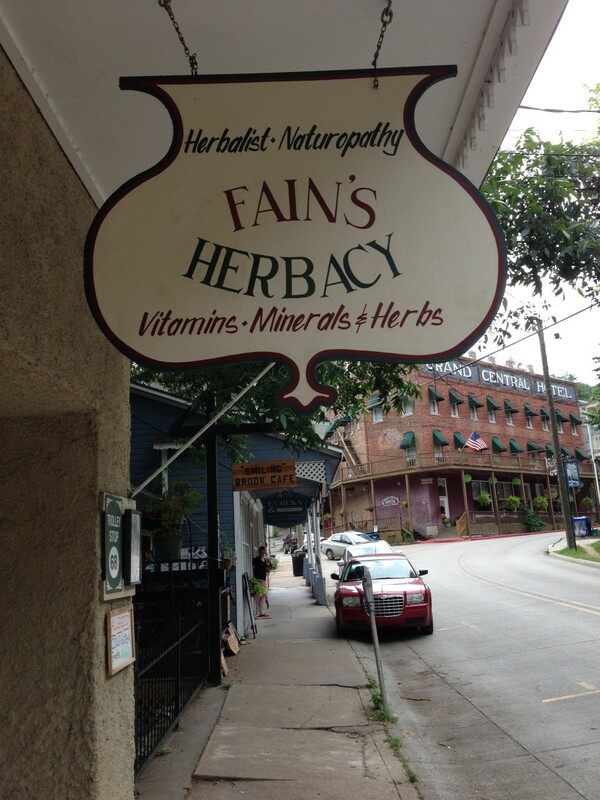 Herbal medicine has a longer history than modern medicine. 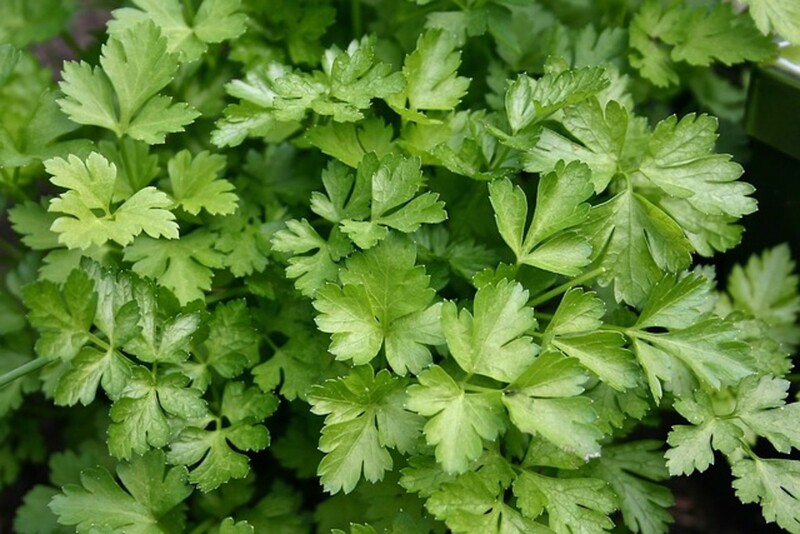 With so many herbs, you can save money by treating health ailments naturally. Pine is one of my favorite winter wild edibles. 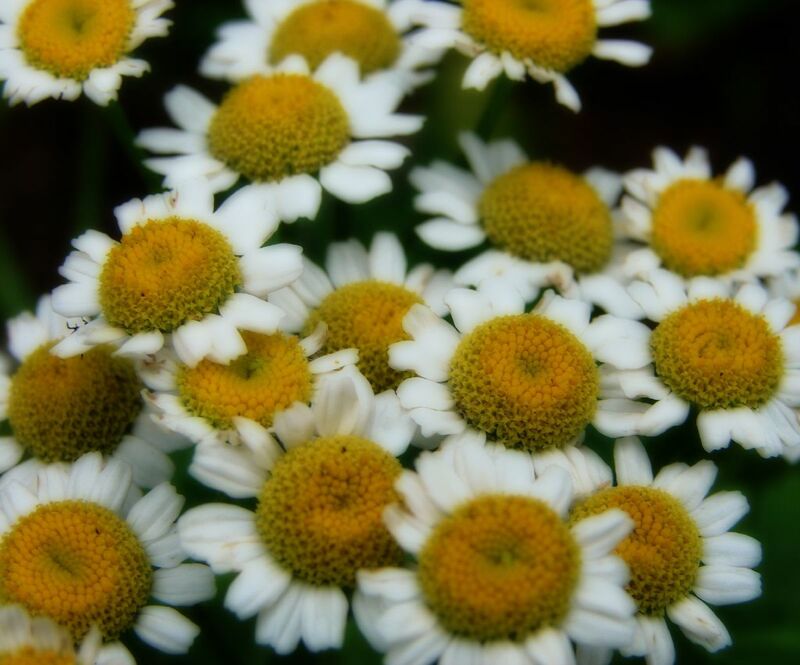 It is packed with nutrients, one of which is Vitamin C. They smell like oranges when you cut the needles away. It's a bit of work, but worth it! 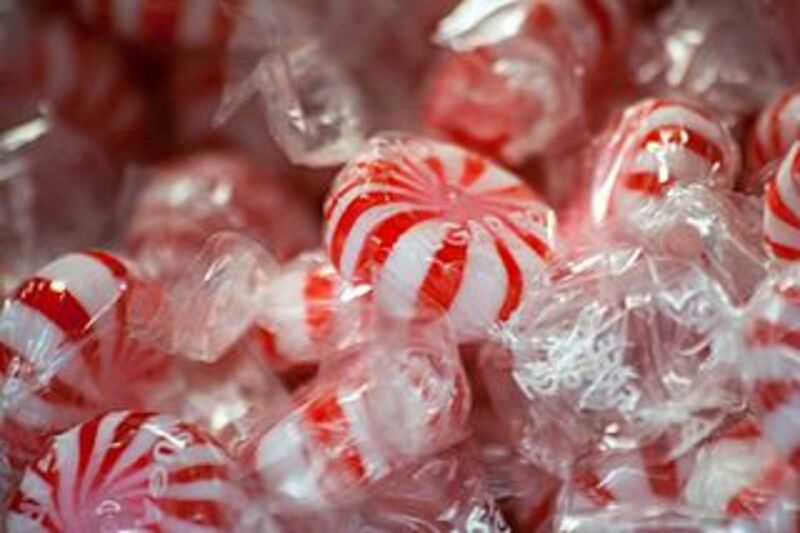 Peppermint essential oil is one of the most effective and versatile essential oils out there. 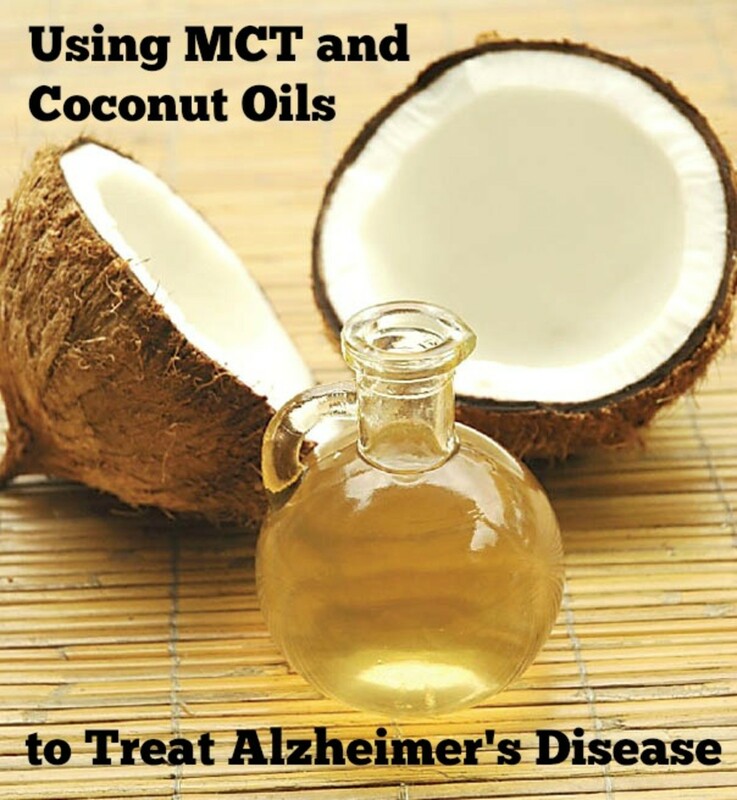 It makes a great addition to your medicine cabinet. 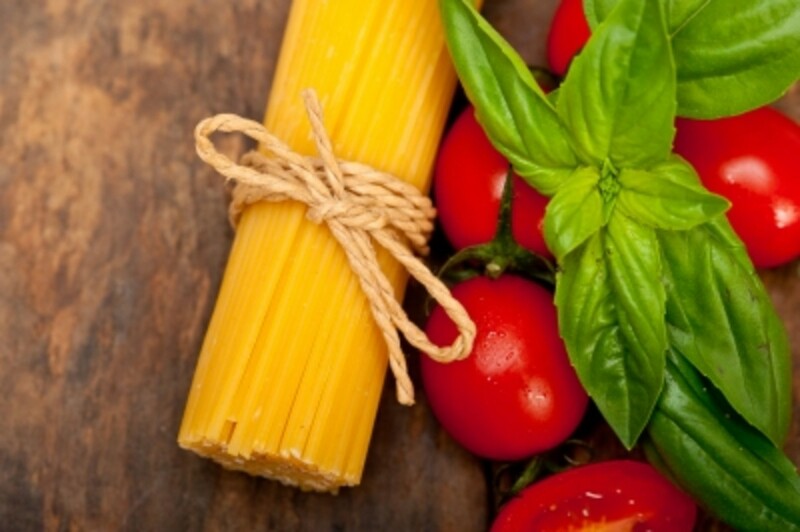 Various foods have potentially strong health benefits. 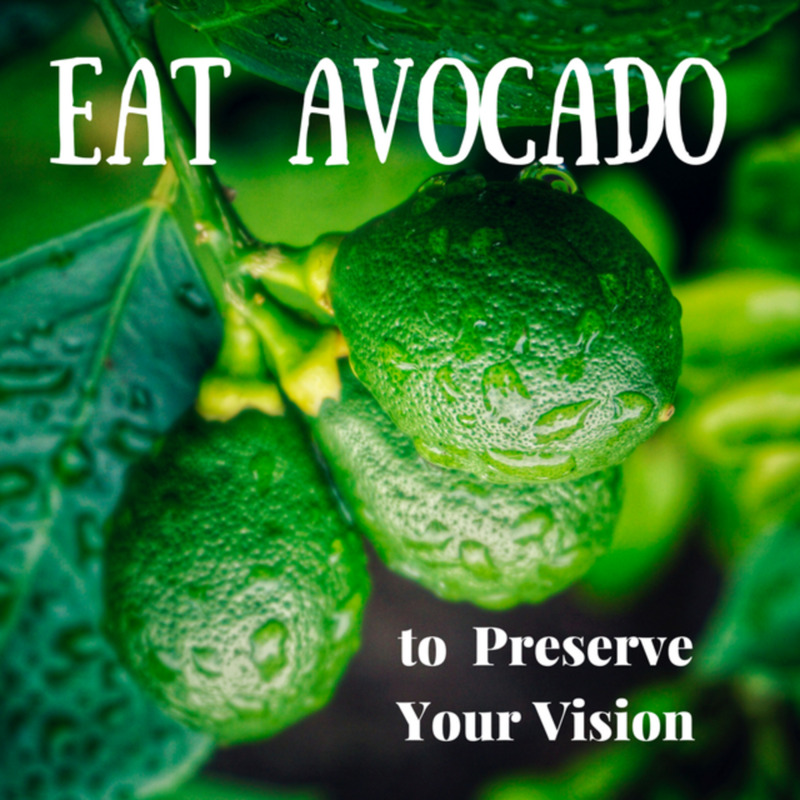 Discover foods that offer protection from the flu, help to prevent UV radiation, and reduce kidney problems. 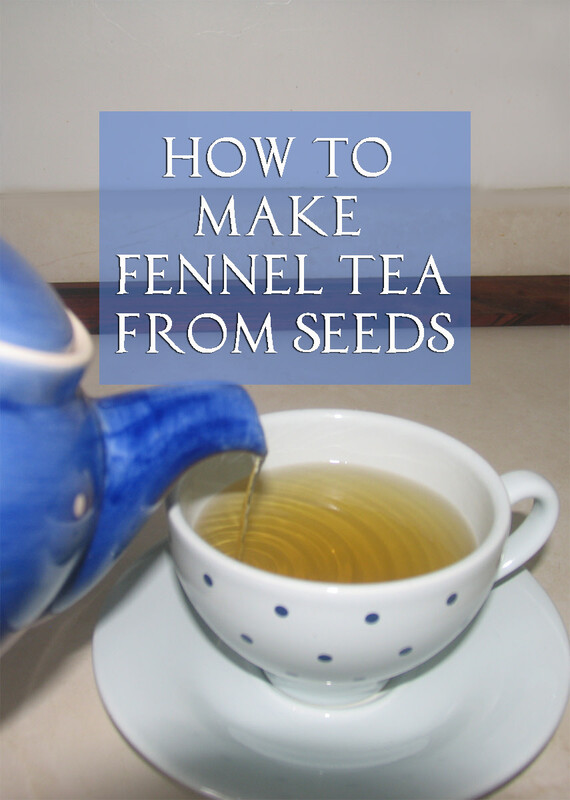 Keeping fennel seeds on hand means you can make tea whenever you want. 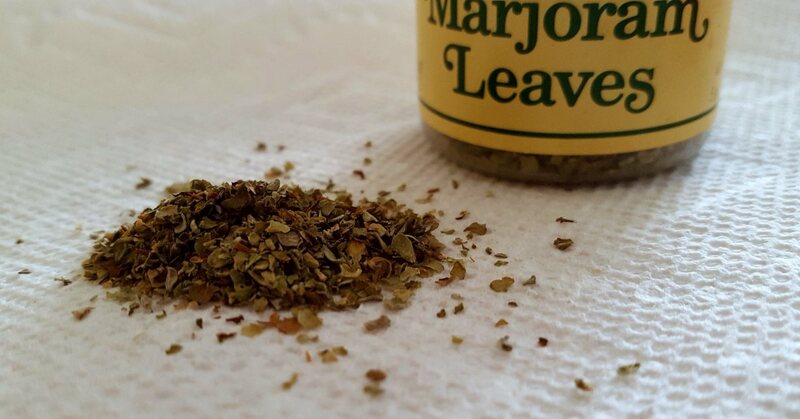 Here's the easiest way to make it without any grinding, chopping, or pounding. 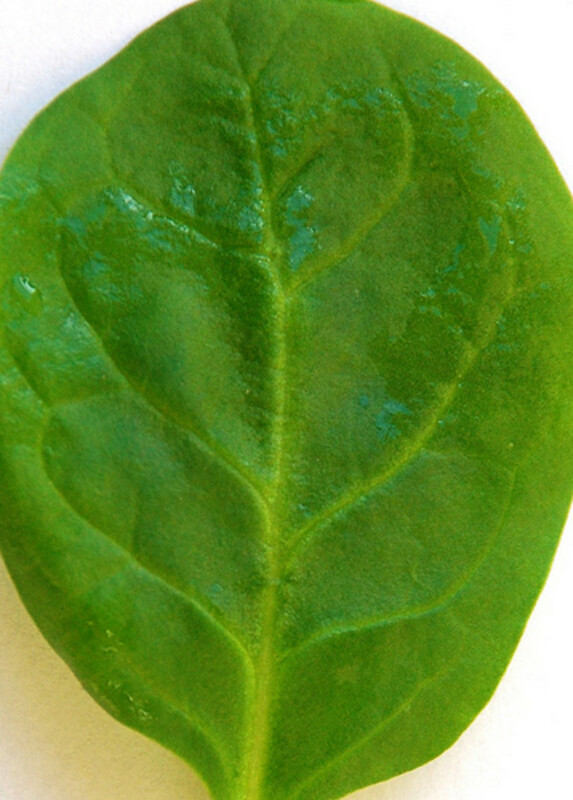 Spinach is one of nature's power foods that should be part of everyone's diet. 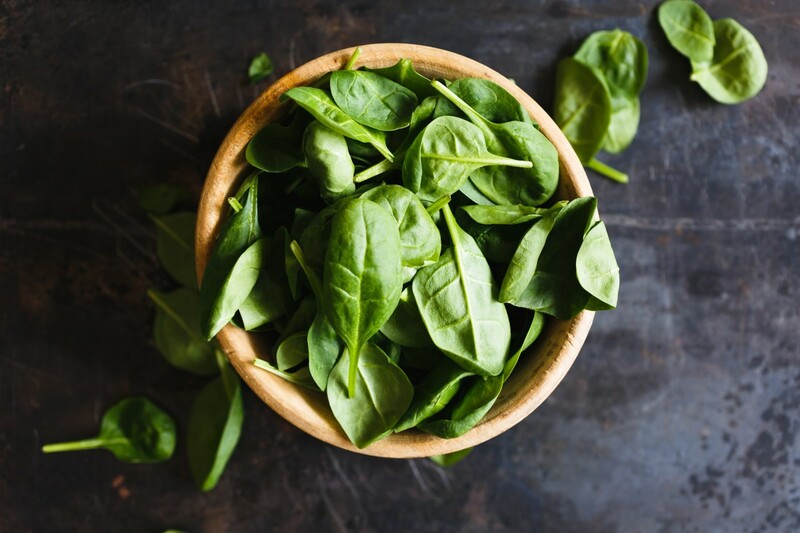 This article will explain 9 health benefits of spinach and why you should eat more of it on a regular basis. 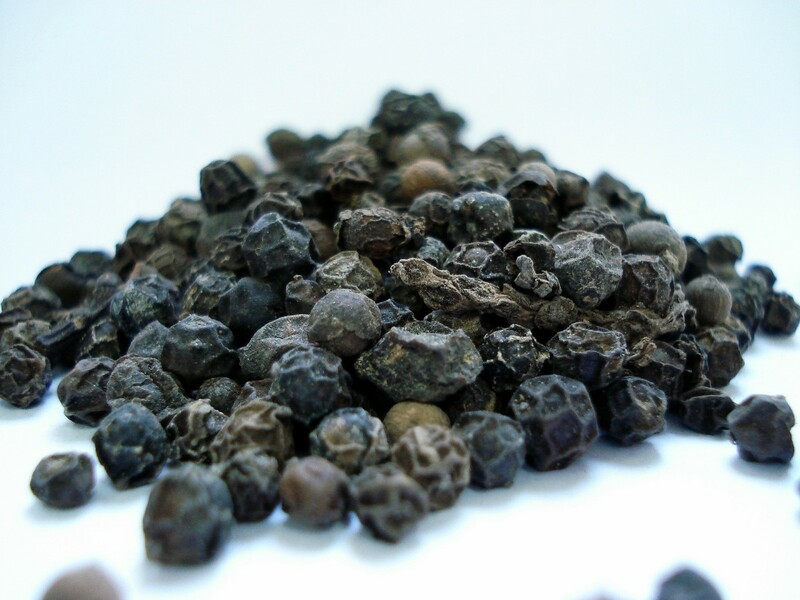 Black pepper is one of the most used spices in almost all of the countries of the world. 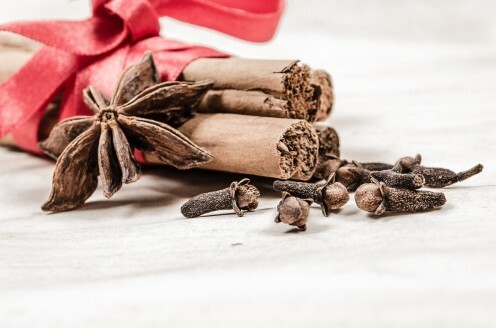 In use since the ancient times, this spice not only is a flavor enhancer for many meat dishes, soups and salads, there are many health benefits to using black pepper. 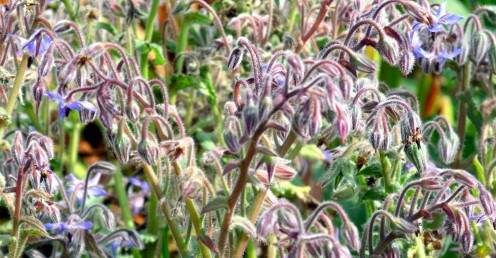 Borage is a herb that is much loved, easy to grow, and very useful medicinally and in the garden. 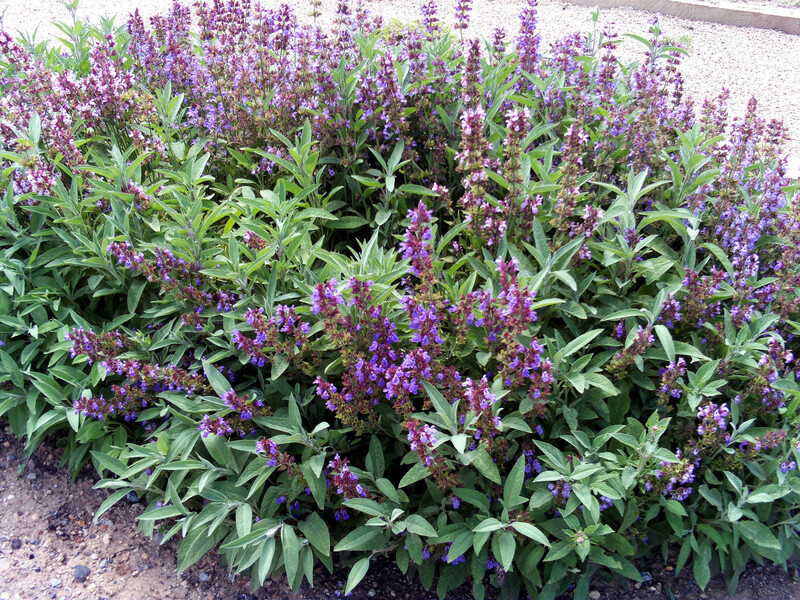 Organic gardeners in arid areas should never be without it. Do you suffer from anxiety, depression, or paranoia? Do you feel the stress of everyday life growing out of your control? 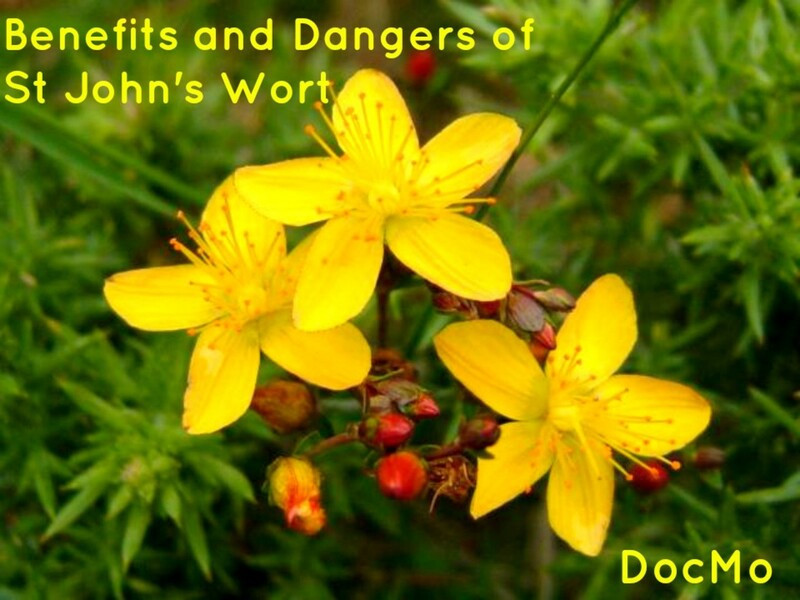 This can be caused by chemicals in your brain being thrown out of whack, and St. John's Wort can help you there. 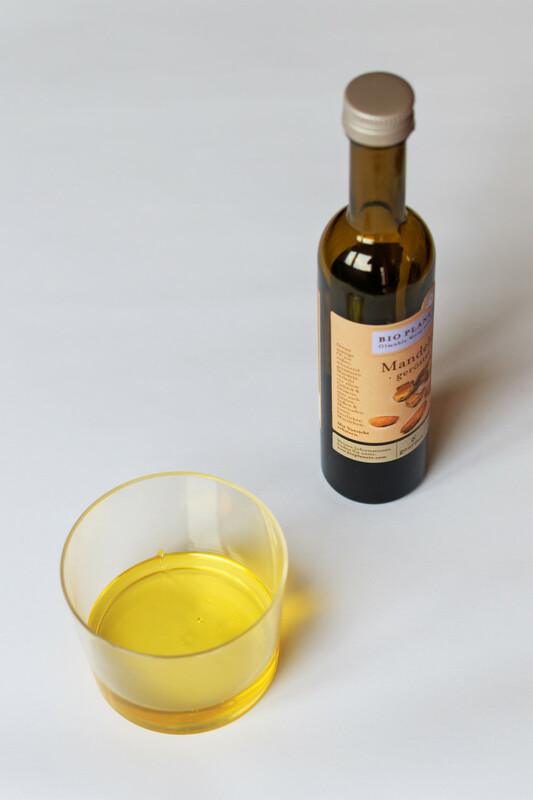 The truth behind the weight-loss hype on the use of vinegar from research studies and my own personal testing. 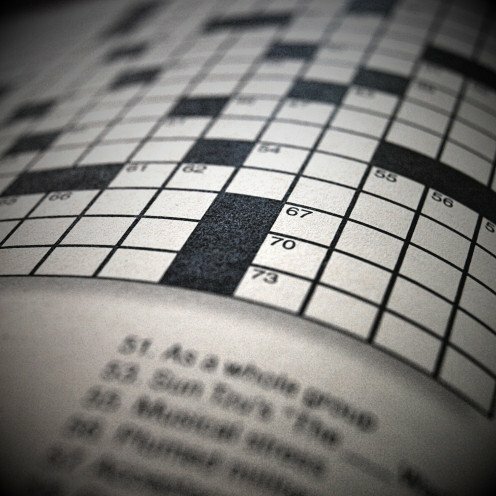 What kitchen does not have a supply of spices? Made from different parts of plants such as roots, stems, seeds and bark, spices bring many health benefits that your body needs. 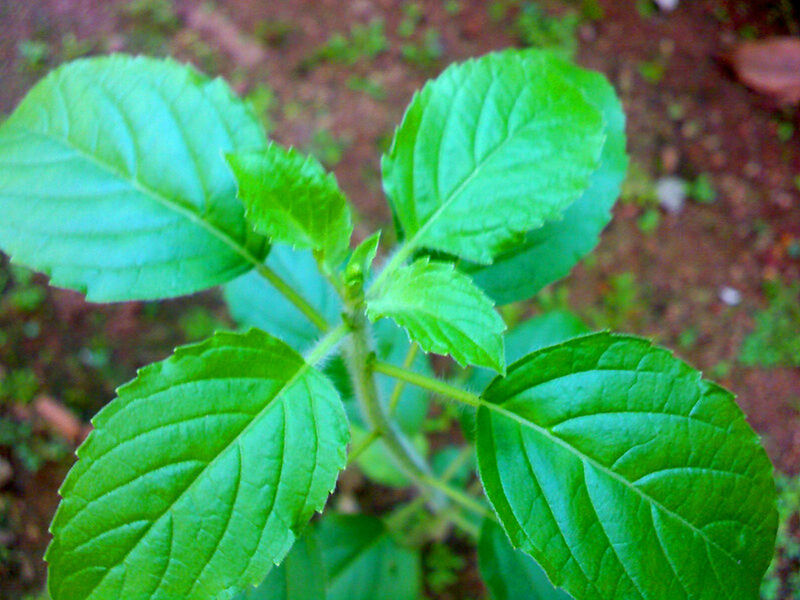 Tulsi or the Holy basil is one of the most revered plants in Hinduism. 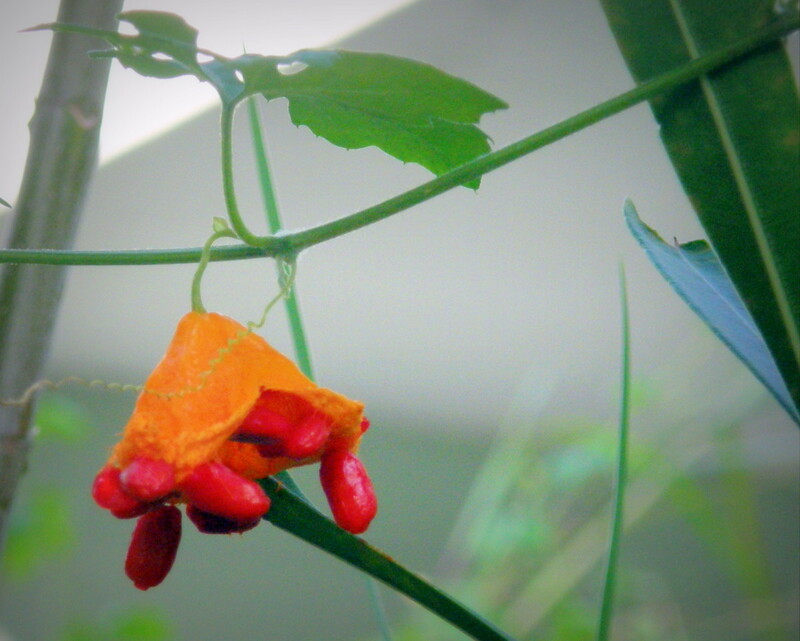 Find out about this plant, its health benefits, and the role it plays in Hindu religion. 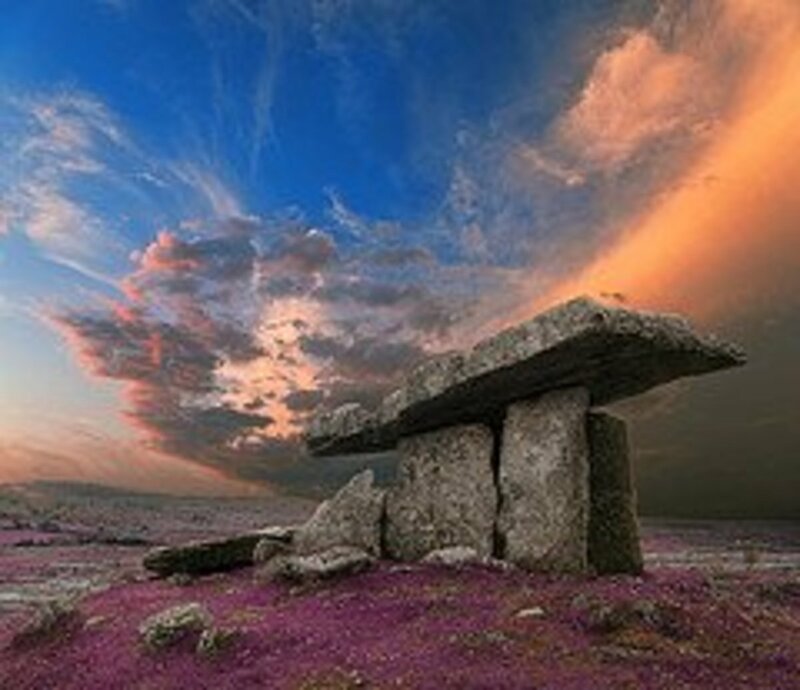 The ancient Celts were some of the world's first pharmacists. 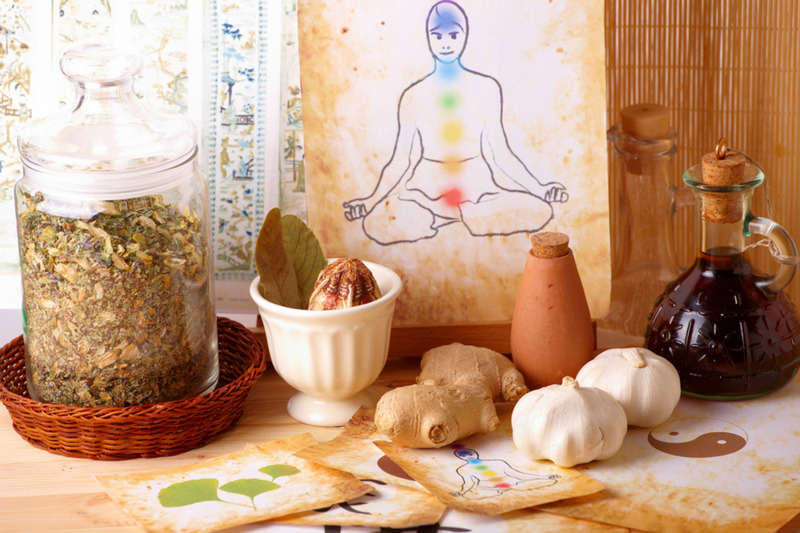 Find out how these ancient warriors healed their sick and wounded. While ginger is very popular in cooking and baking, it is also well known for its health benefits and healing properties. 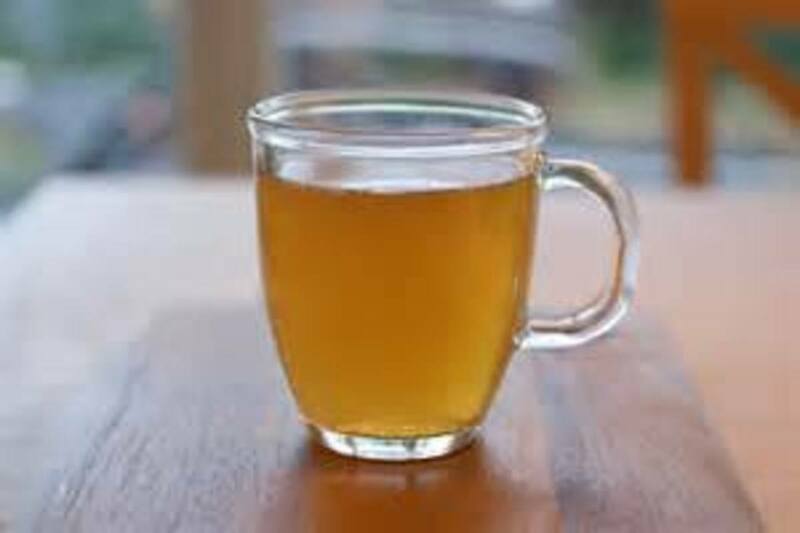 In addition to treating problems with the digestive system, ginger also helps in treating the symptoms of many other ailments. Kratom has become a controversial topic over the last few years. 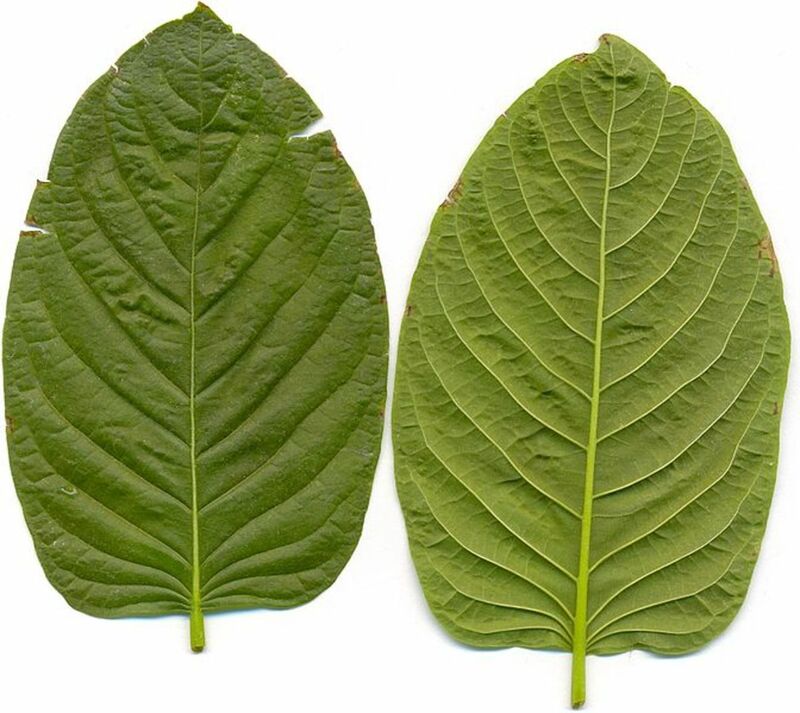 There are two sides to the argument: one party suggests that kratom is deadly, the other suggests it is a miracle plant. 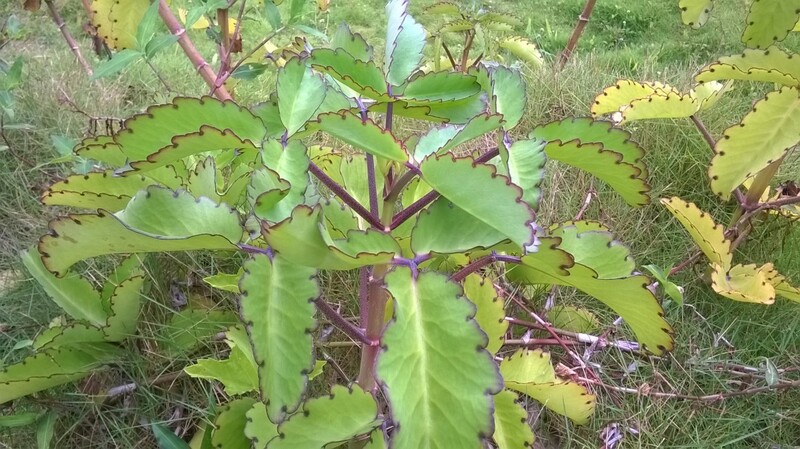 Kratom: A Safe Alternative to Prescription Medication or a Harmful Substance? 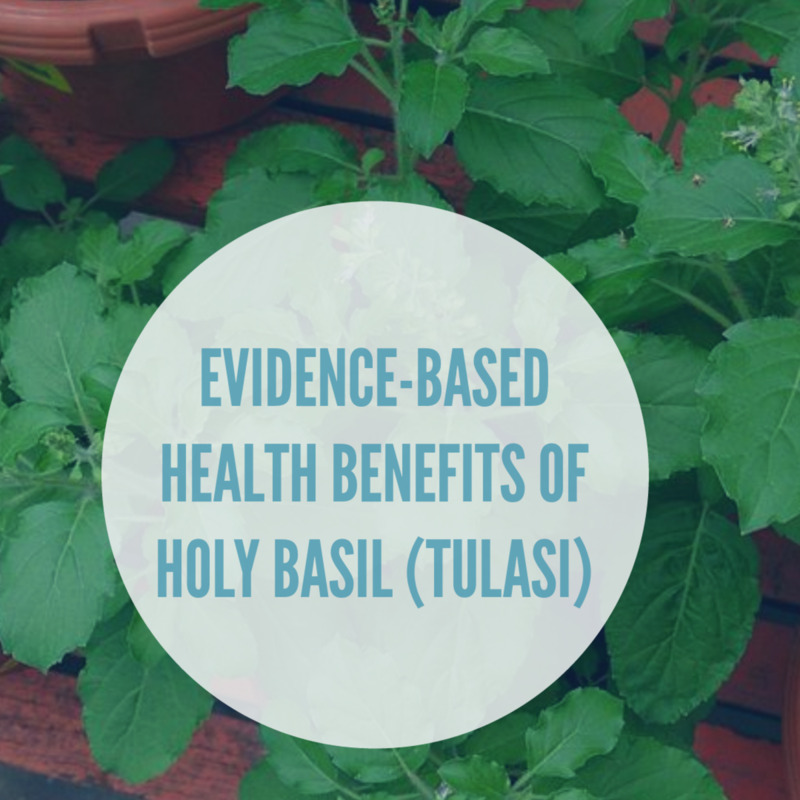 Findings from more than 24 human studies suggest that holy basil is a safe herb that can be used to help normalize glucose levels, blood pressure, cholesterol levels, and manage other health conditions like asthma, arthritis, acne, hives, influenza, sore throat, and canker sores. 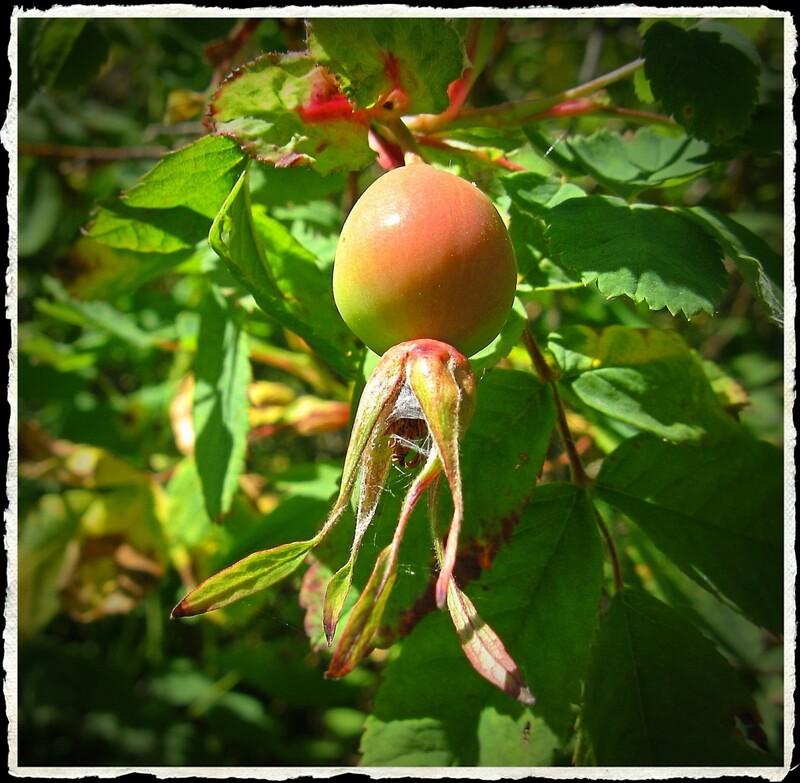 Foraging for wild edibles can be a very rewarding skill to learn. 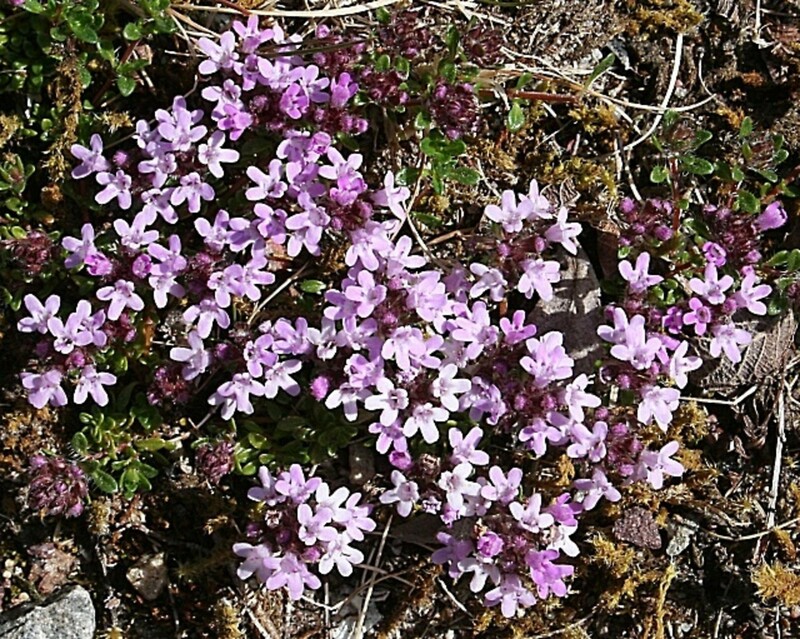 Find out how to recognize Mountain Bluebells below. In the "Hunger Games" books and movies, Katniss Everdeen and her family share deep knowledge of plants' medicinal and nutritional properties. 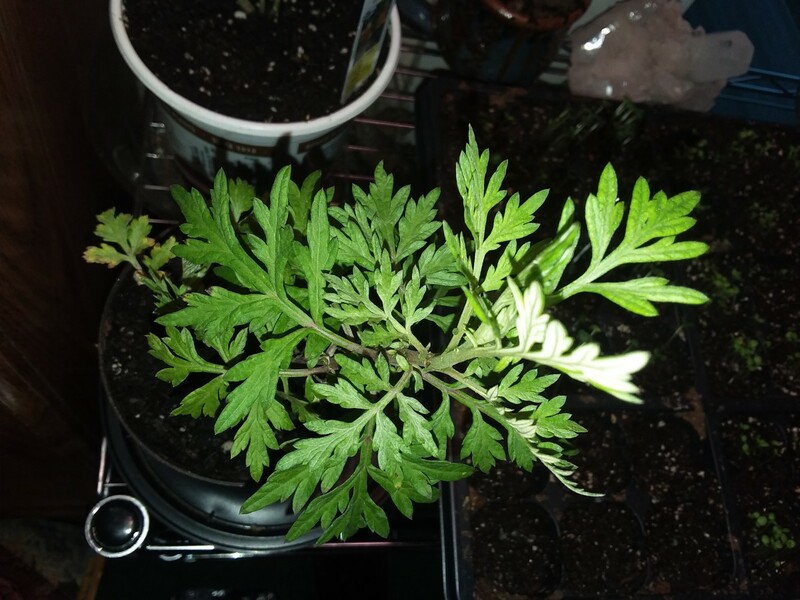 What are the properties of the katniss and rue plants? 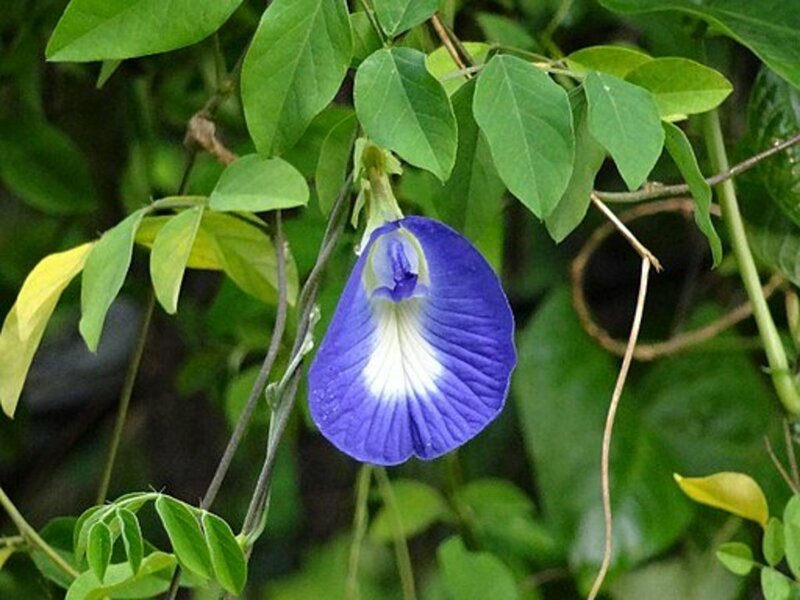 Find out the various medicinal uses of Convolvulus pluricaulis, also known as Shankhpushpi. Why is black pepper good for you? 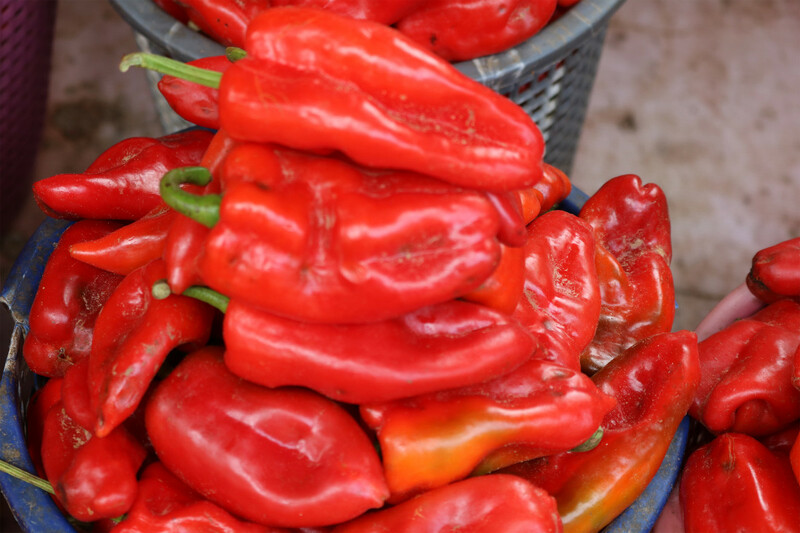 Black peppers are the dried berries from pepper plant, which are either crushed or ground or used wholeand add spiciness and flavor to food. Why Is Black Pepper Good for You? 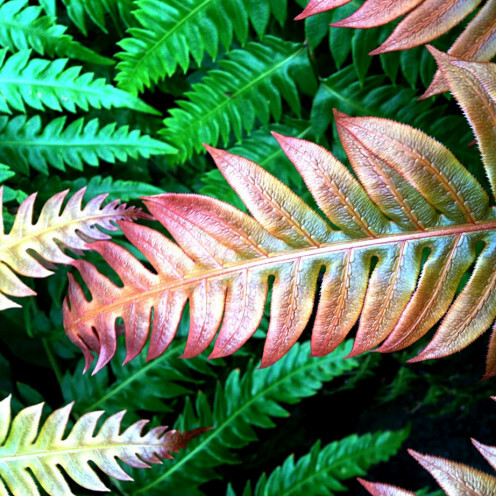 Did you know that the plants around us can provide treatments for everyday ills? 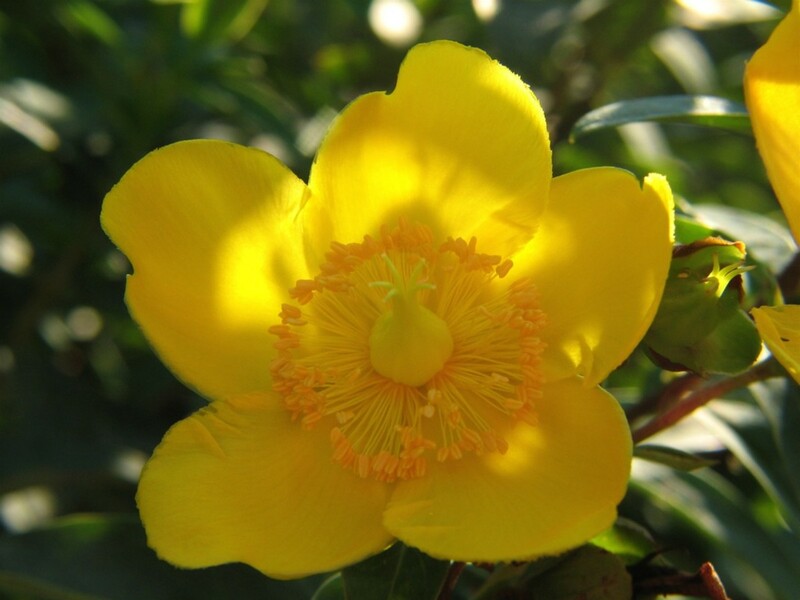 These natural cures, which may be found in and around the home, may help treat specific ailments. 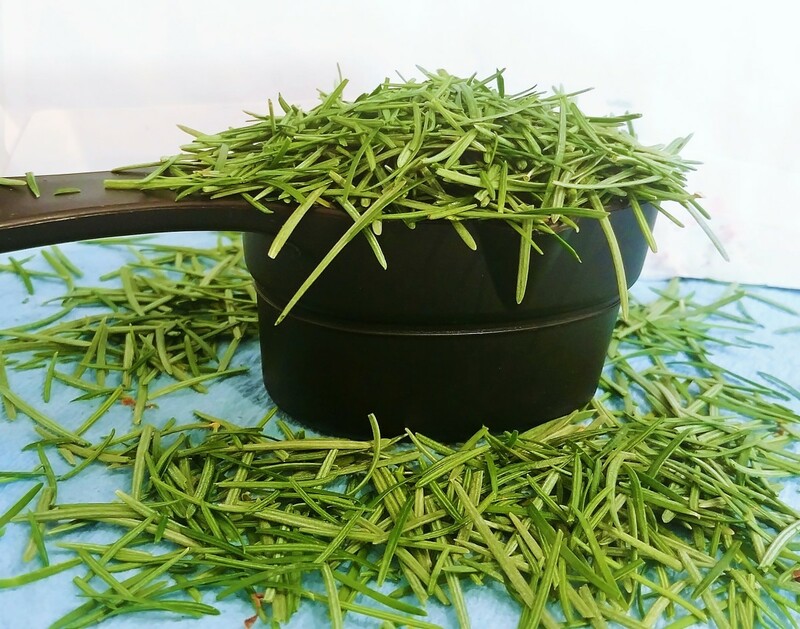 Learn about the superb flavor and health benefits of parsley, sage, rosemary, and thyme. 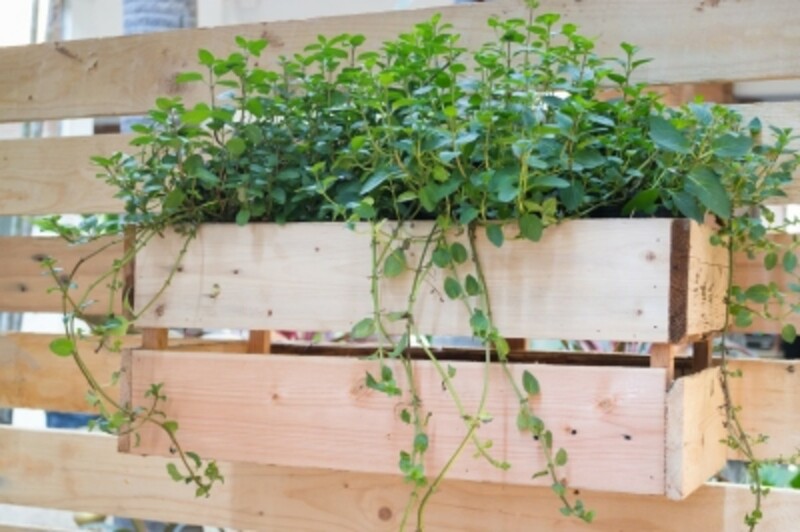 These herbs were used through the ages for both medicinal and culinary purposes and are easy to grow yourself. 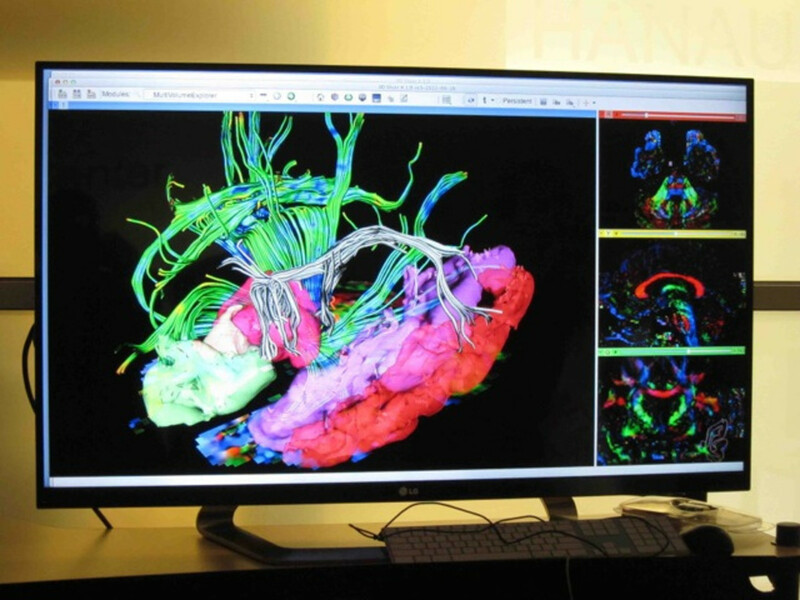 Neurotransmitters are the chemicals within the brain that transmit impulses related to emotion and thought to the brain; should an imbalance in neurotransmitters occur, there can be all manner of symptoms. 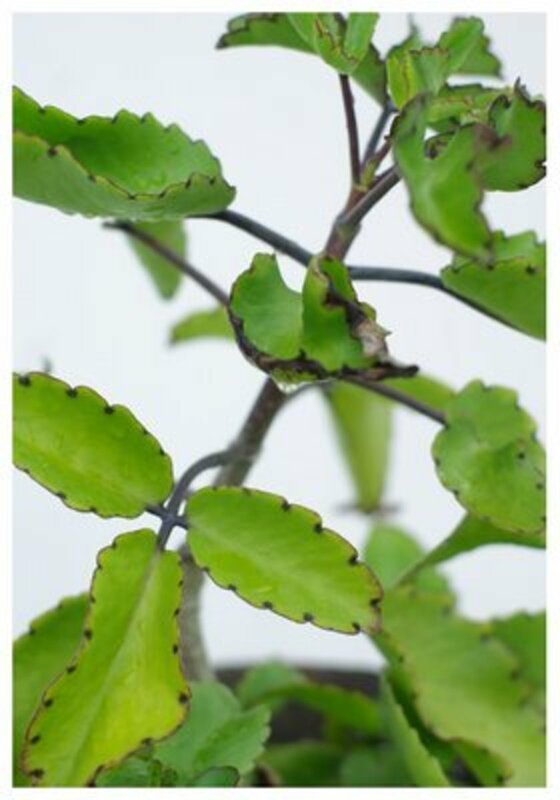 The Kalanchoe Pinnata, also known as the "Wonder of the World" plant, can be used to treat many maladies. 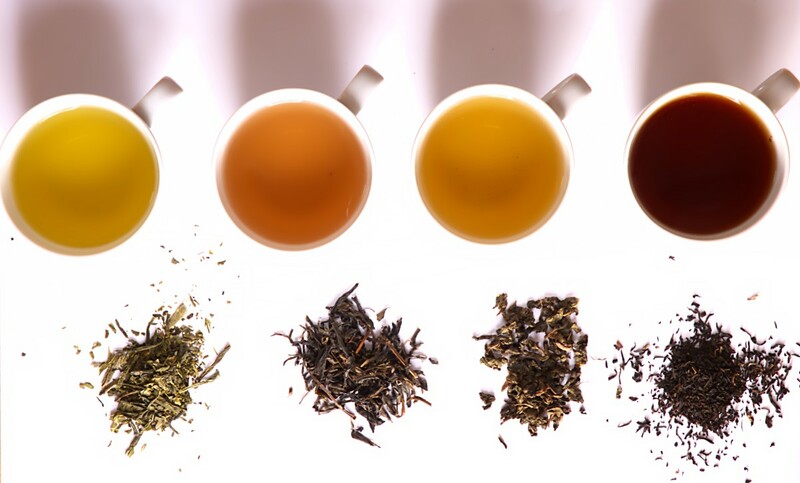 There are hundreds of herbal teas available. 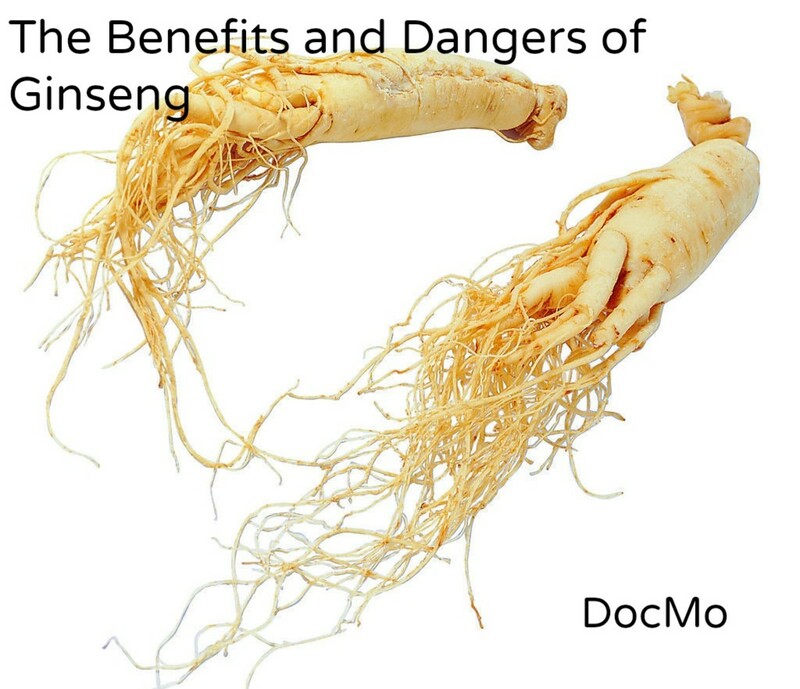 Many are used for their healing properties and health benefits. 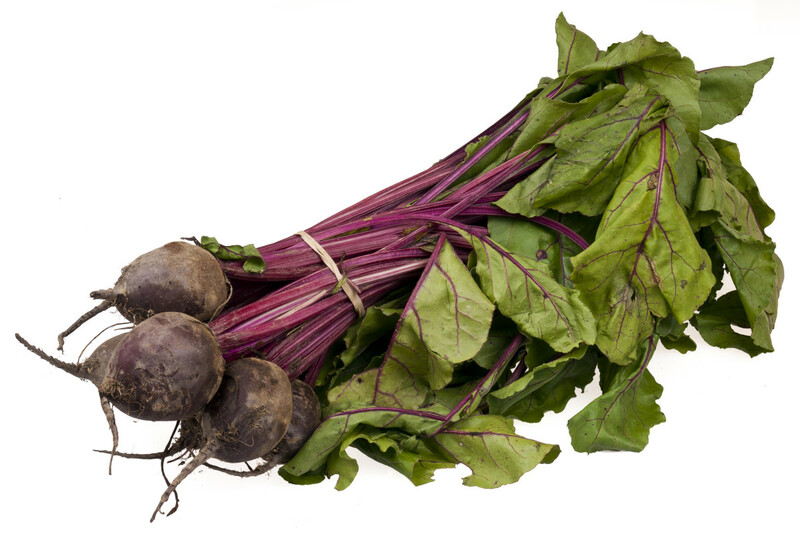 Here are some you're likely to find at your local grocery store. 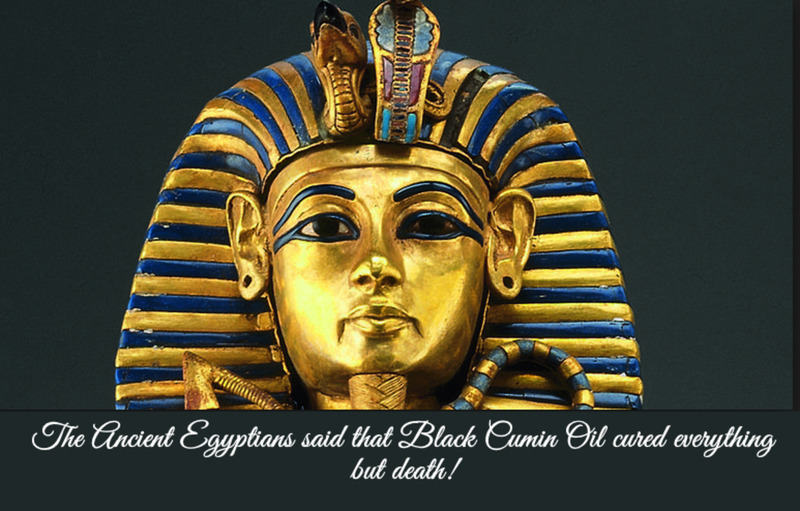 Black Cumin Oil was found in the tomb of Tutankhamun. Why? 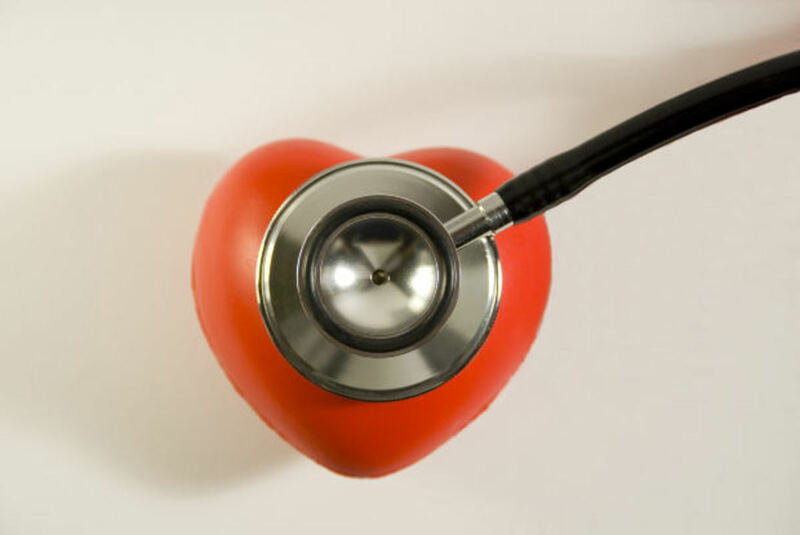 The Ancient Egyptians said that it cured everything but death. This general tonic cures some very specific conditions as well. Learn about the variety of health benefits peanuts have to offer. You know the many benefits of apple cider vinegar, but date vinegar is even more potent. While there are many health benefits to eating dates, learn about the many benefits of consuming date vinegar. 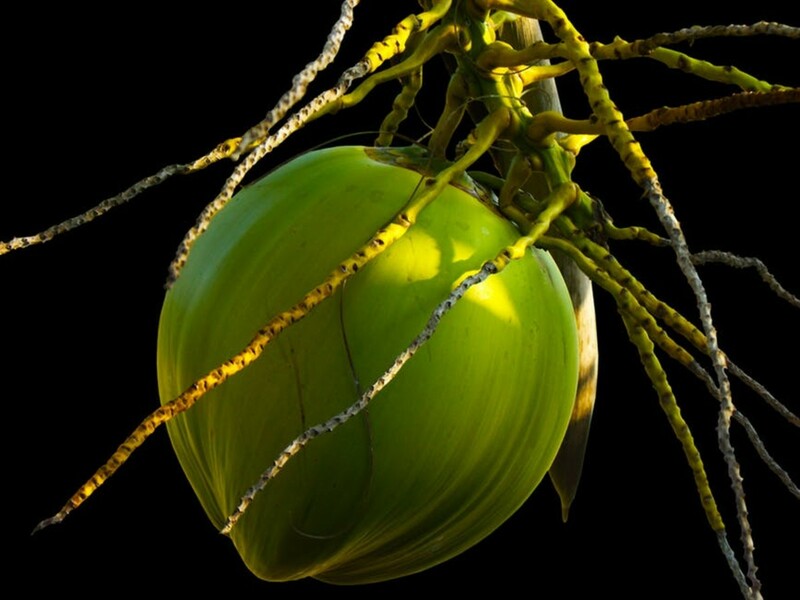 Coconut oil has many natural uses for general health and wellness. 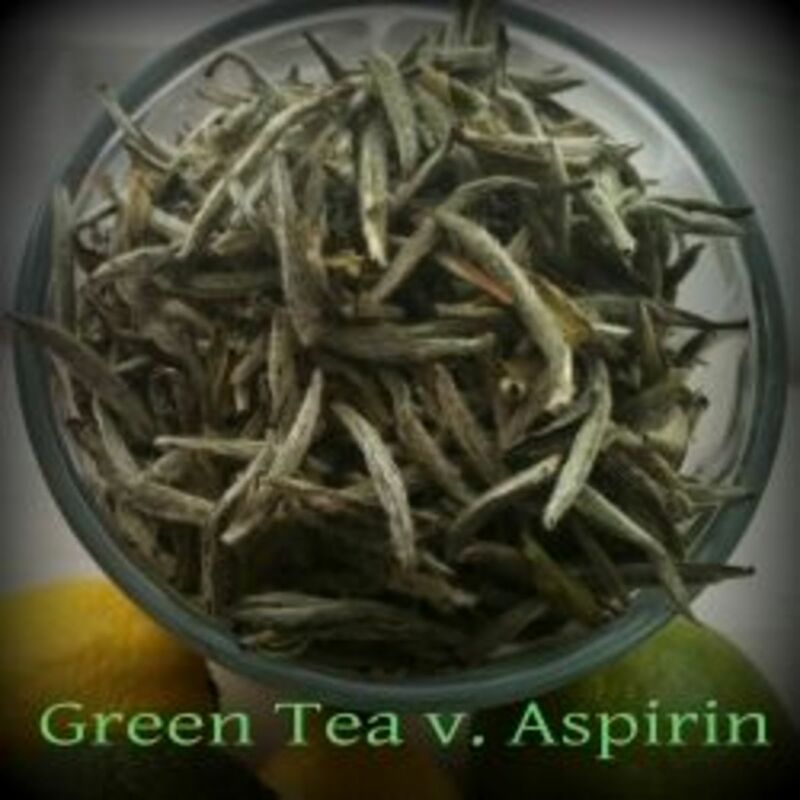 It is an easy supplement to find, and the benefits are numerous. 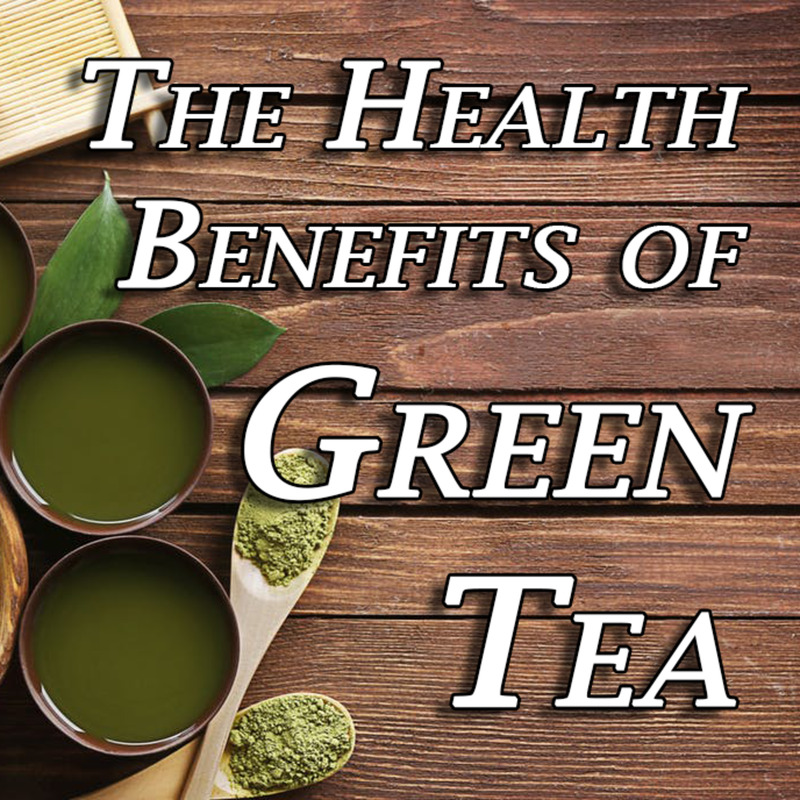 There are many health benefits to drinking green tea, including a reduced risk of cancer, a reduced risk of heart disease, and weight loss. 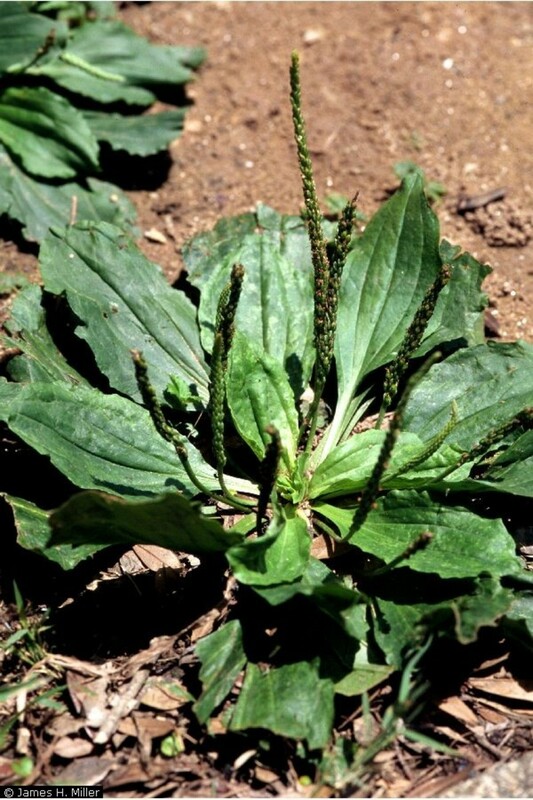 Native to many countries, bistort is an excellent food source. It also contains many healing properties. 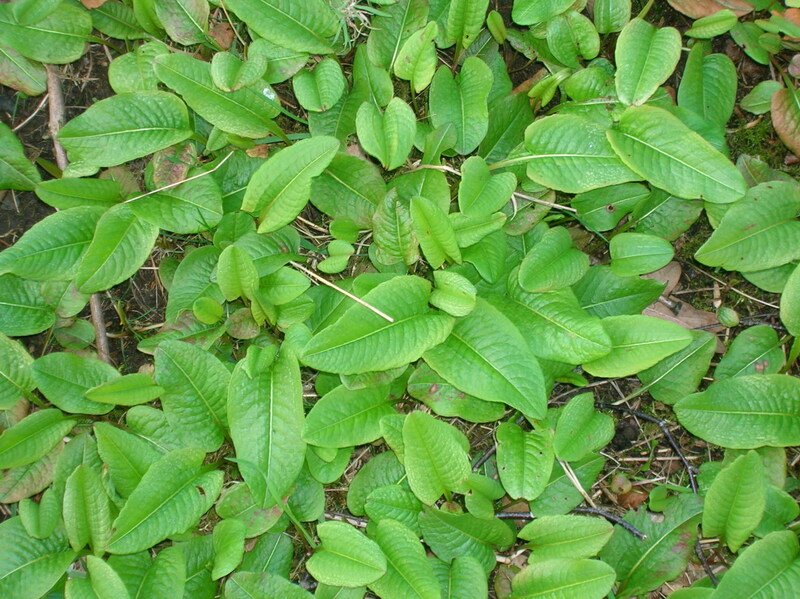 The FDA calls kratom, a popular alternative medicine, an opioid. 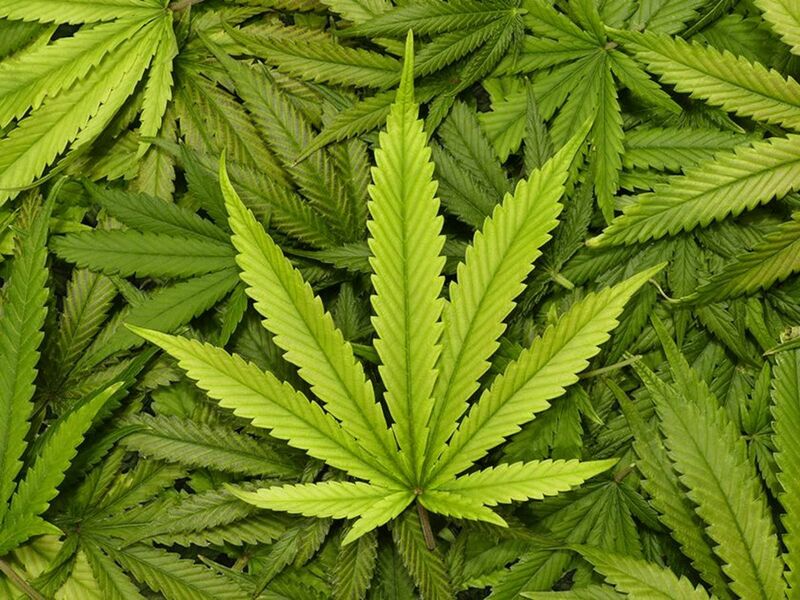 The herb was associated with 44 deaths. 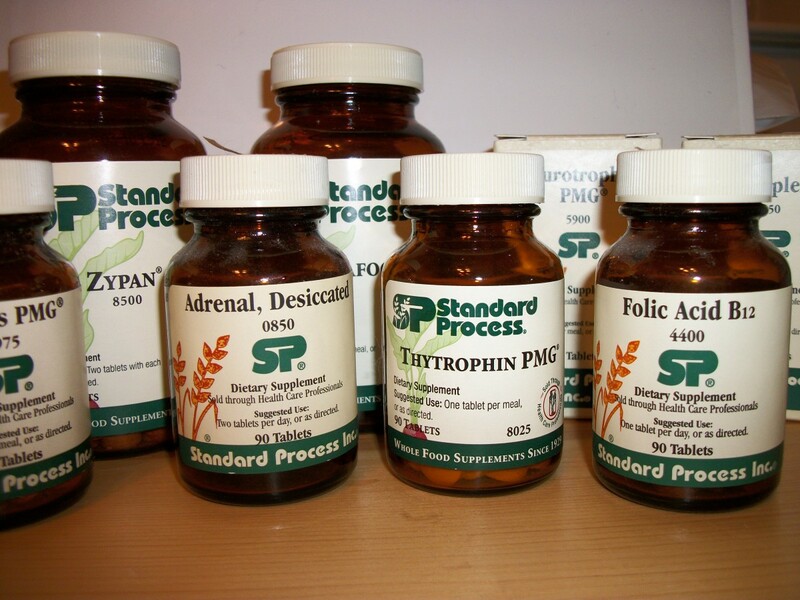 Are you aware of what you are taking as an herbal supplement? 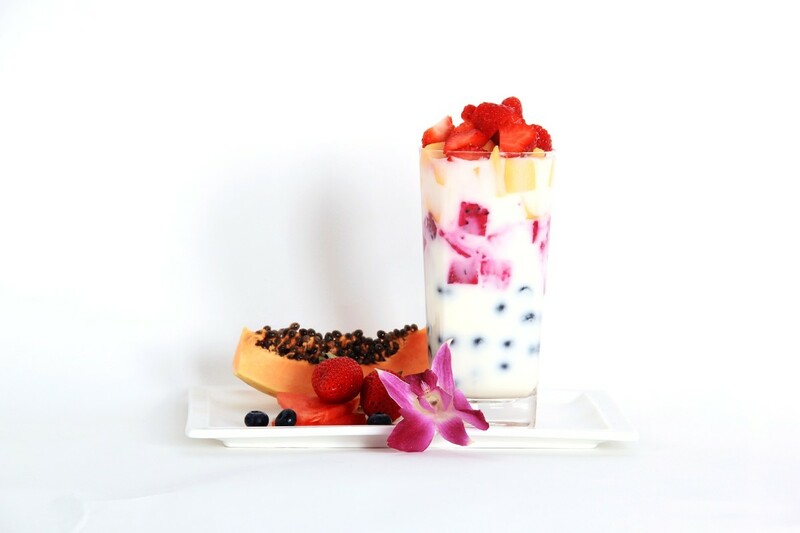 Probiotics are good bacteria that dwell in the digestive system. 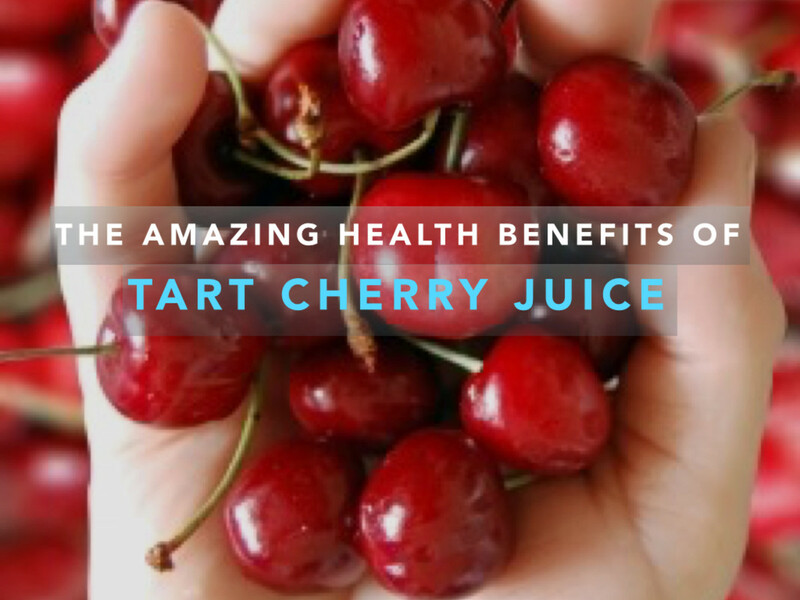 Here, they provide many health benefits. Lactobacillus acidophilus is one of the most commonly used probiotic. 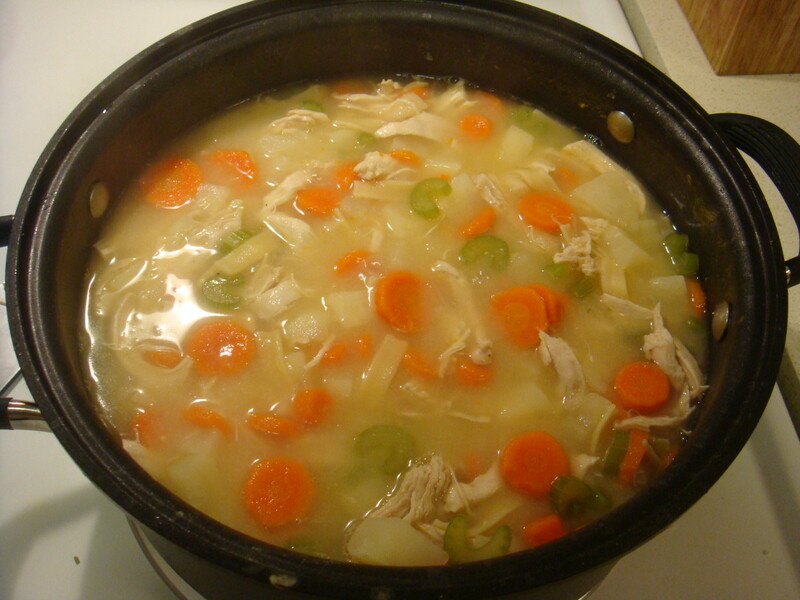 What Can Good Bacteria Do for You? The immune system is our body’s primary defense against environmental pathogens and toxins that make us sick. 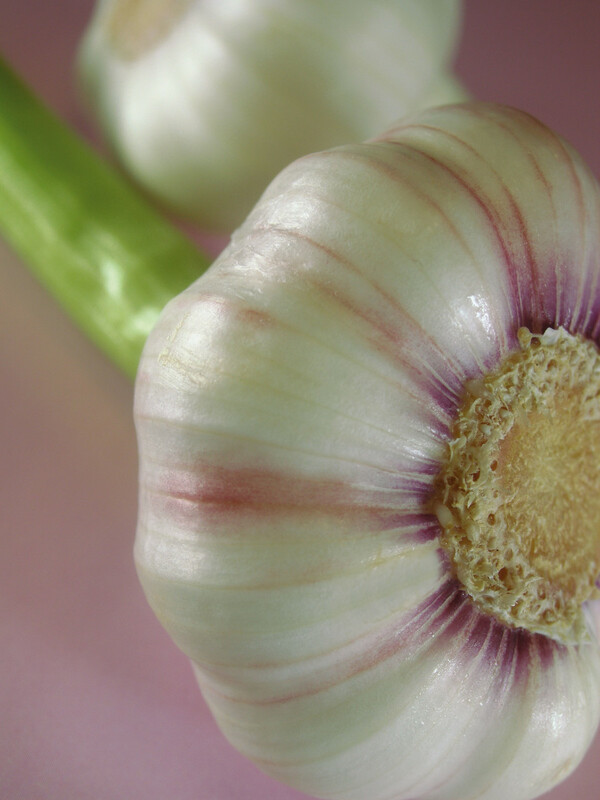 Here's a list of foods that will boost your immunity and help you heal from illness more quickly. 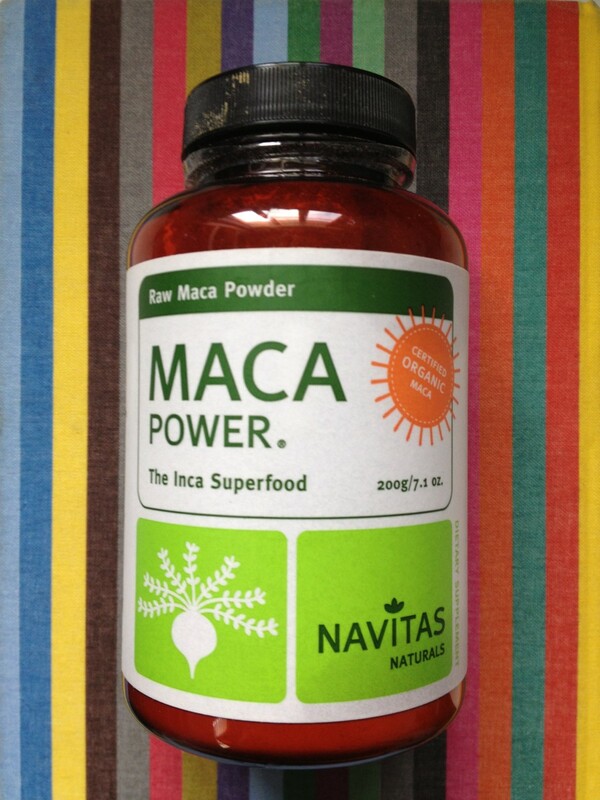 Maca root has many benefits but it also has some side effects. 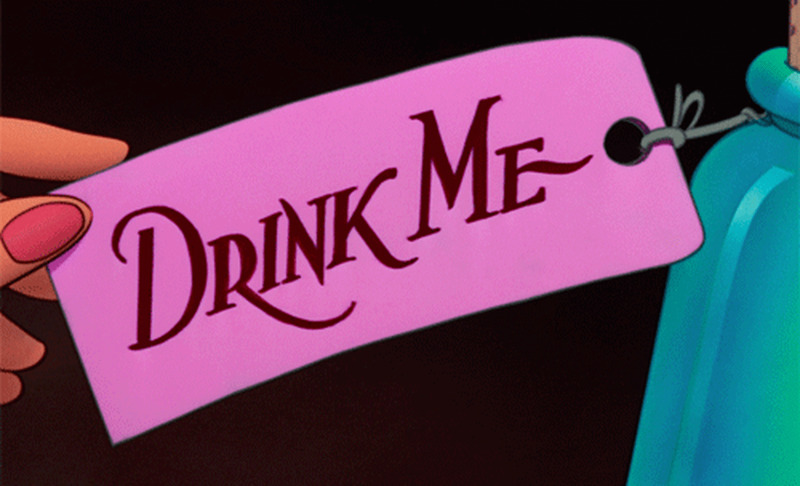 If you're deciding whether you should take it or not, read on for more info. 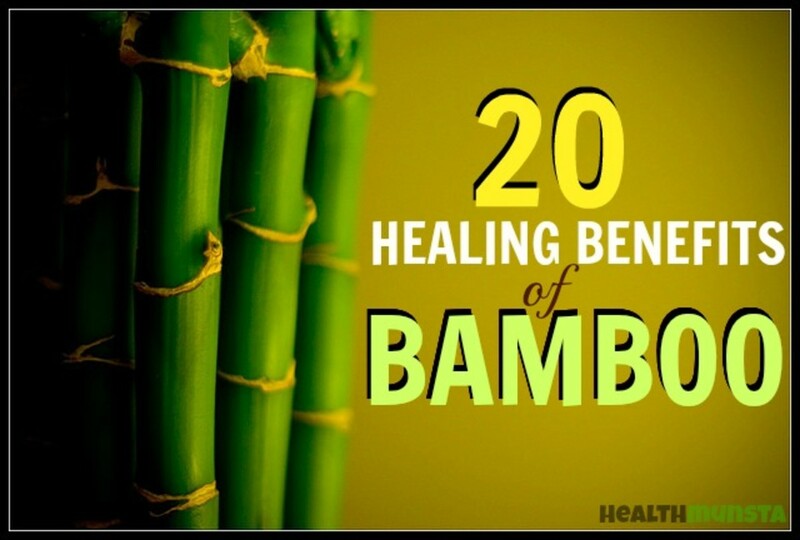 Discover 20 healing benefits of bamboo, from spiritual healing and powering up your diet, to nutrition uses. 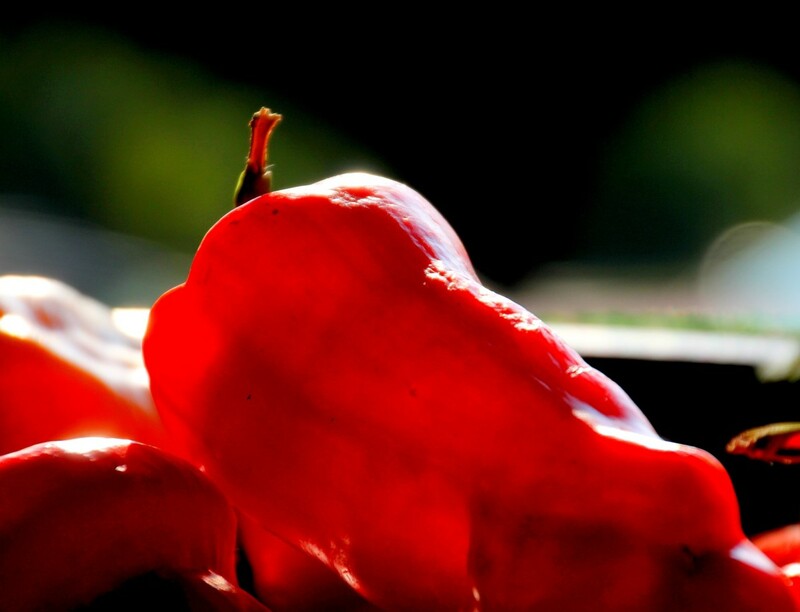 This article provides information on some of the medicinal uses of capsaicin, the history of peppers, and different types of peppers. 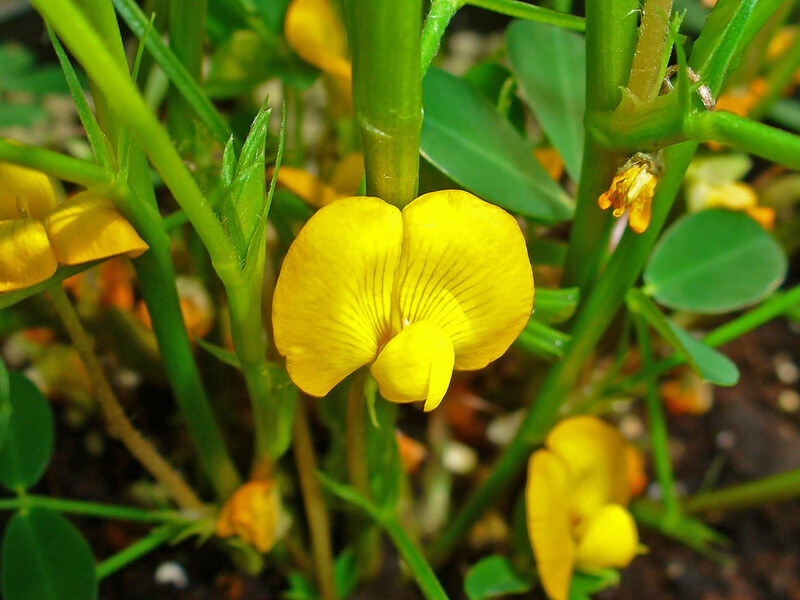 A popular spice used in alternative medicine, turmeric is known to treat a number of disorders. 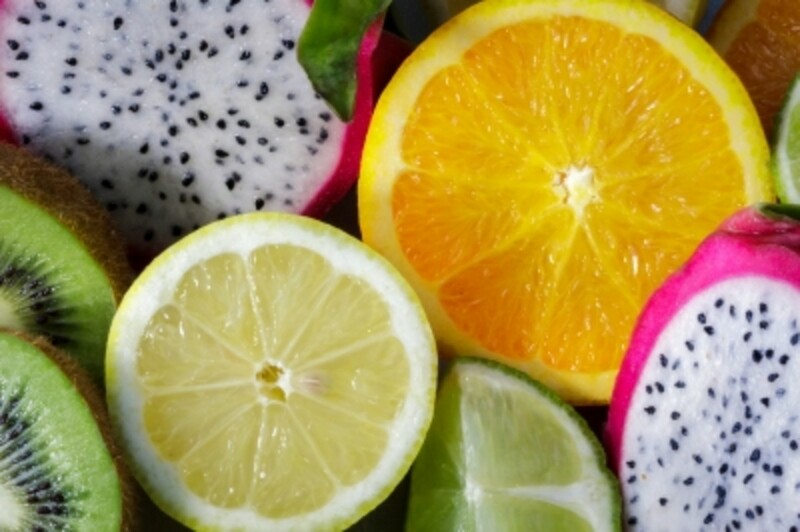 If you find that you have trouble with the flavor, learn how you can can make it more palatable. 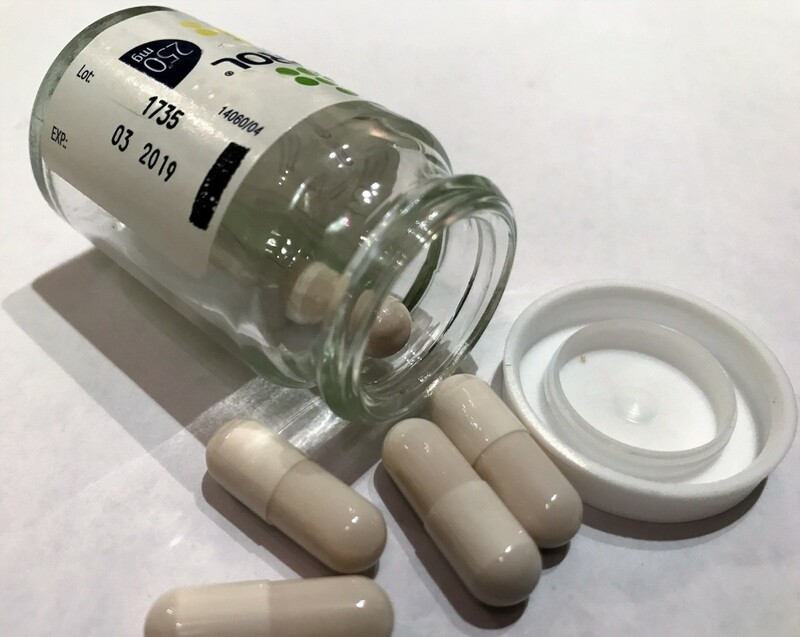 This article explores different types of supplements available for treating the symptoms of Attention-Deficit/Hyperactivity Disorder - Predominantly Inattentive Presentation (AD/HD-PI). 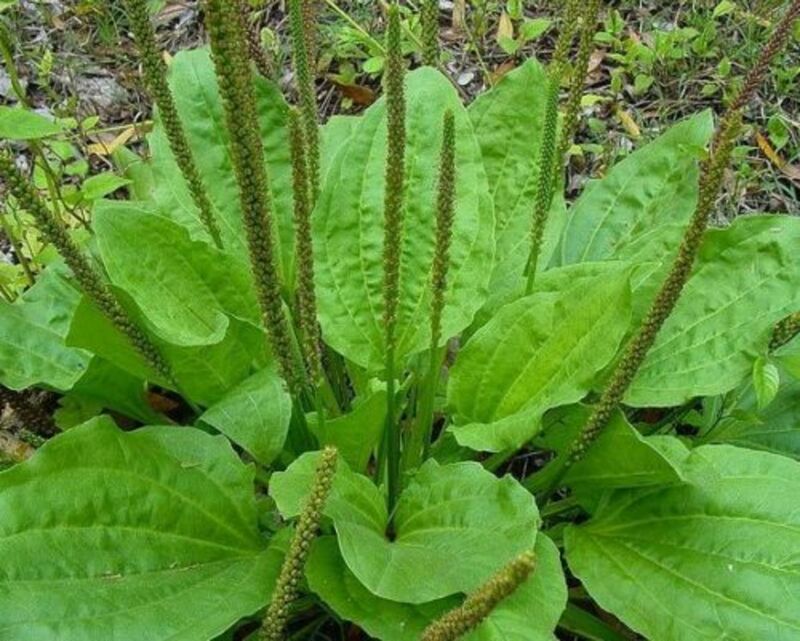 The broadleaf plantain is one of the most abundant and widely distributed medicinal plants in the world. 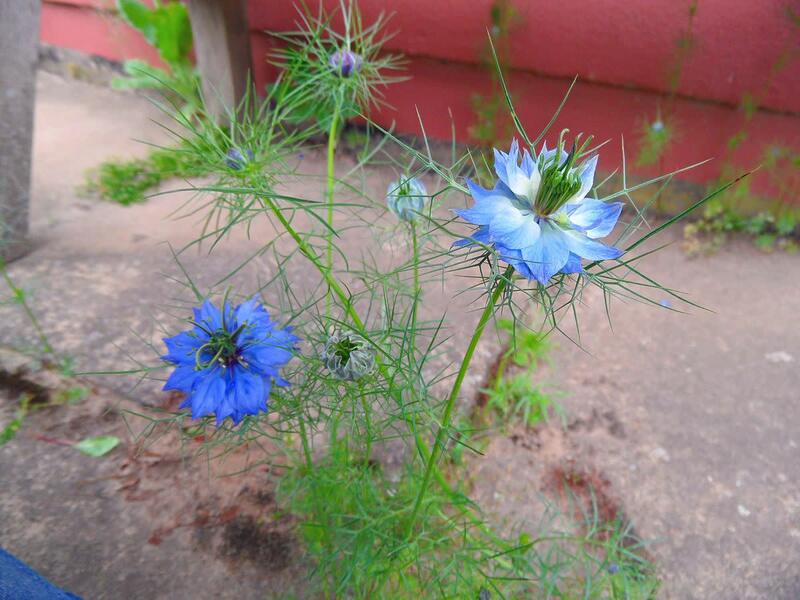 Learn how to easily use its medicinal properties at home! 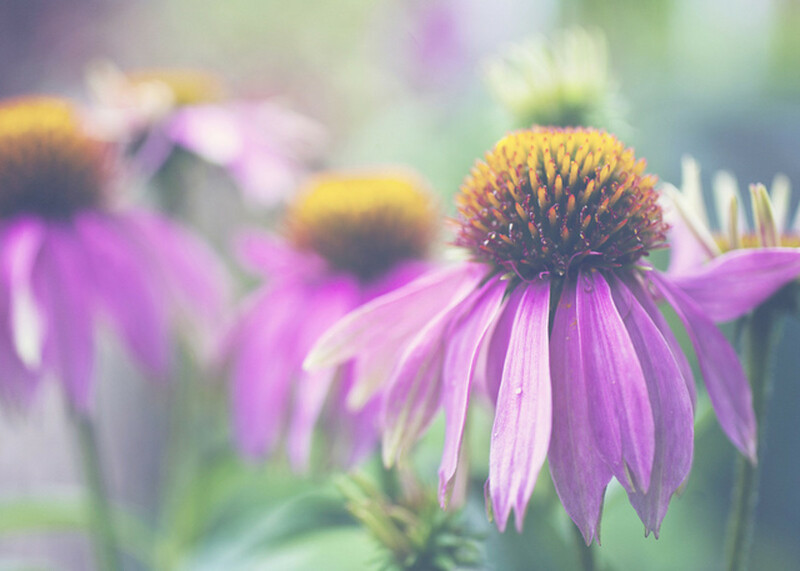 Echinacea, also known as purple coneflower, is a beautiful wildflower that offers many health benefits. 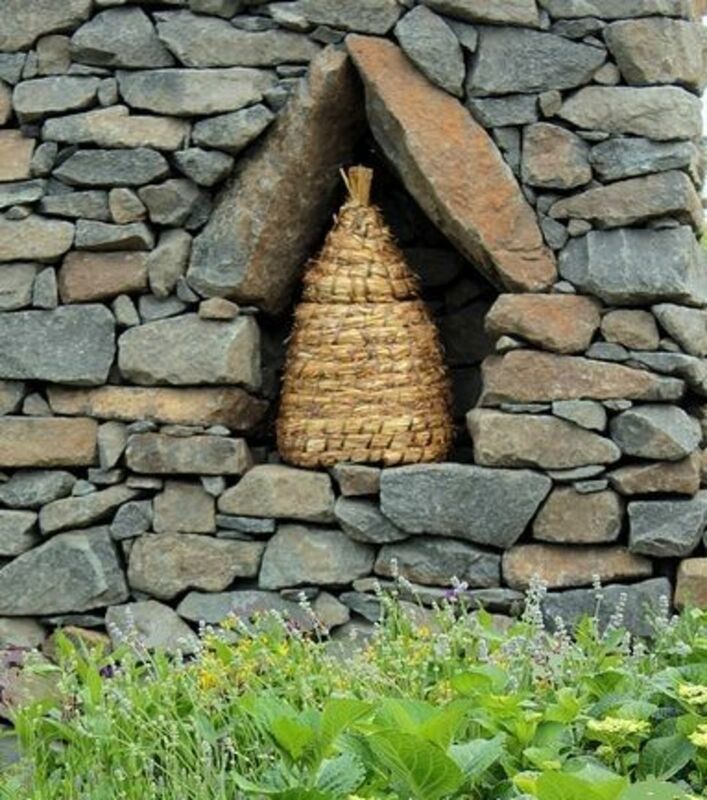 It is easy to grow and harvest at home for personal use. 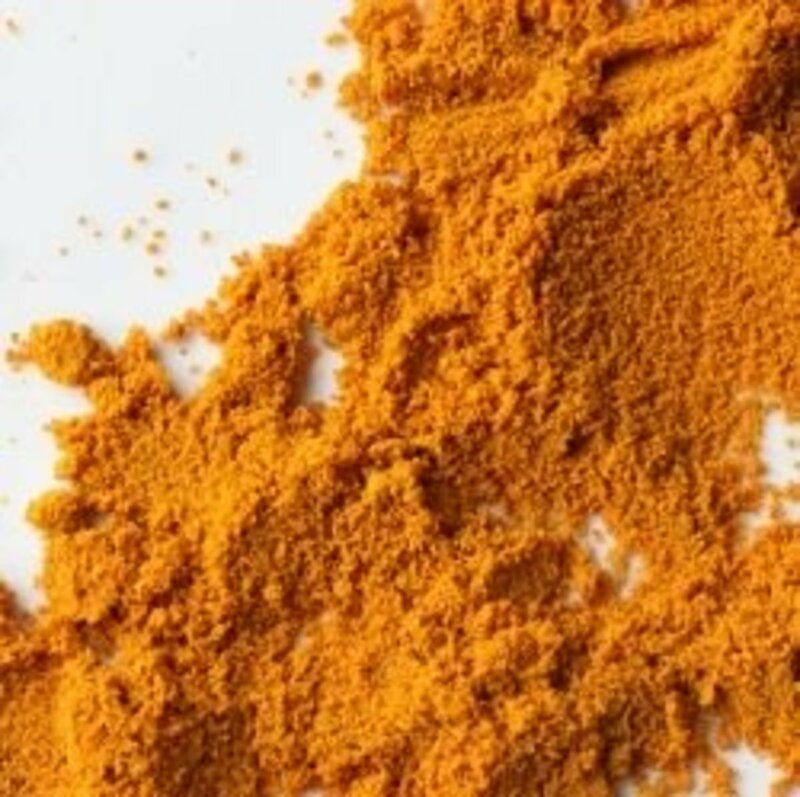 Curcumin is the newest fad in homeopathic medicine. 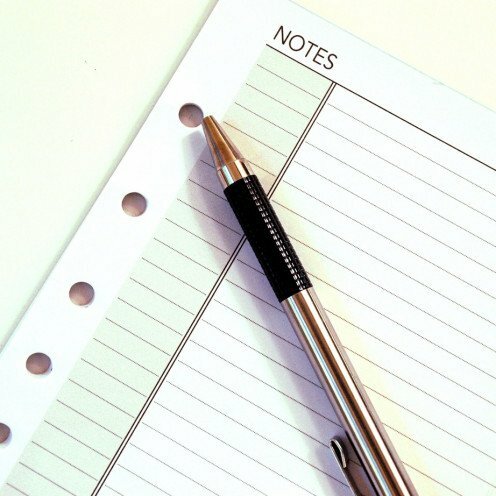 The author reviews some of the evidence, and reports on his own usage to treat his knee pain. 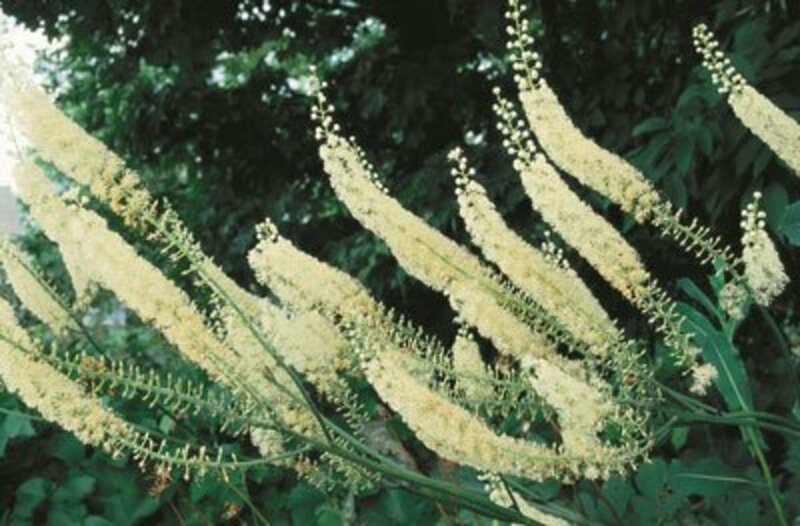 Black cohosh can be used to treat menopausal, premenopausal, and menstrual irregularities. 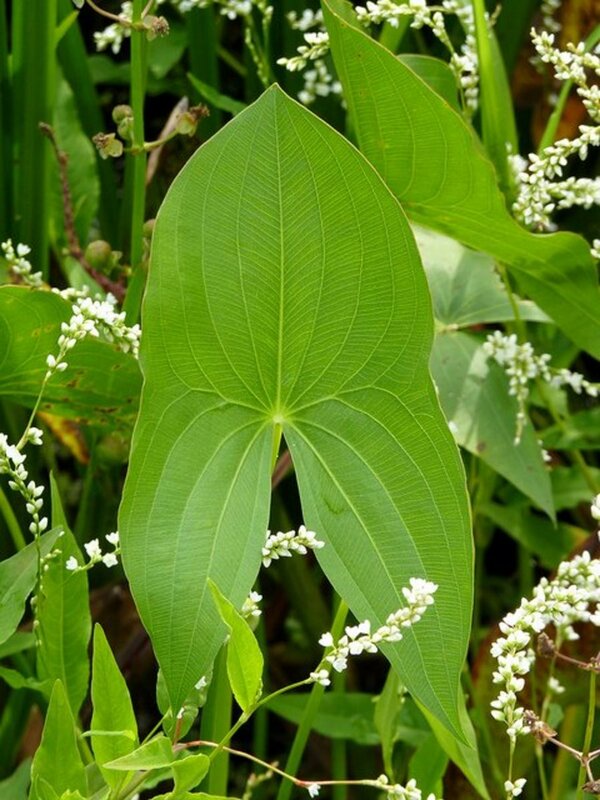 Learn about the many benefits and uses of black cohosh. 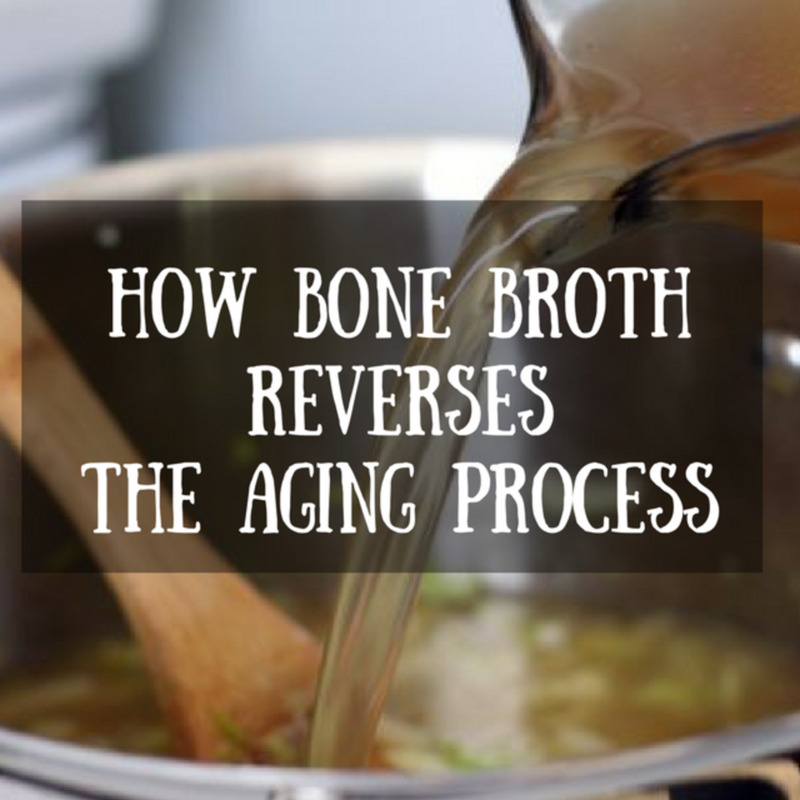 Bone broth was a way our ancestors made use of every part of an animal. 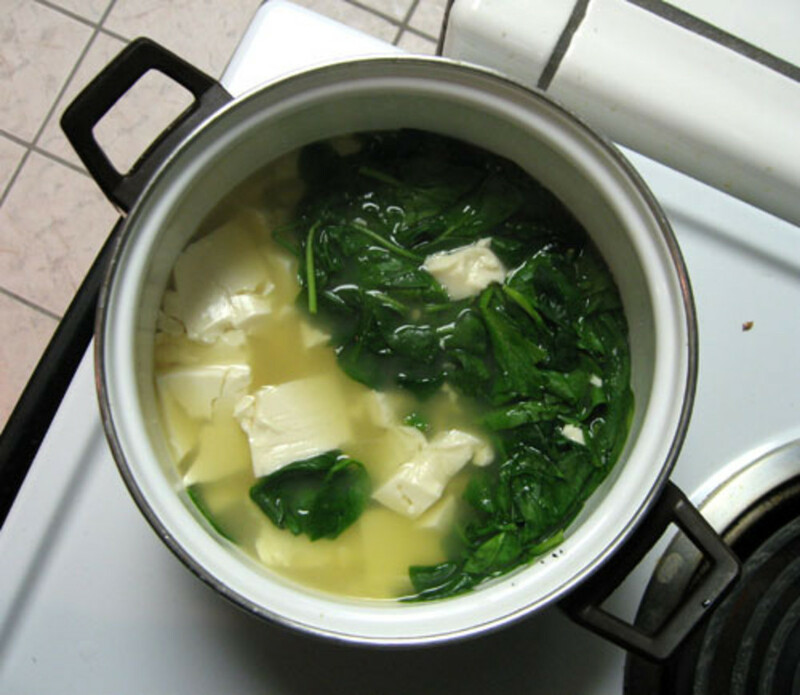 Bones, marrow, skin, feet, tendons and ligaments can be boiled and then simmered over a few days to make a healing compound. 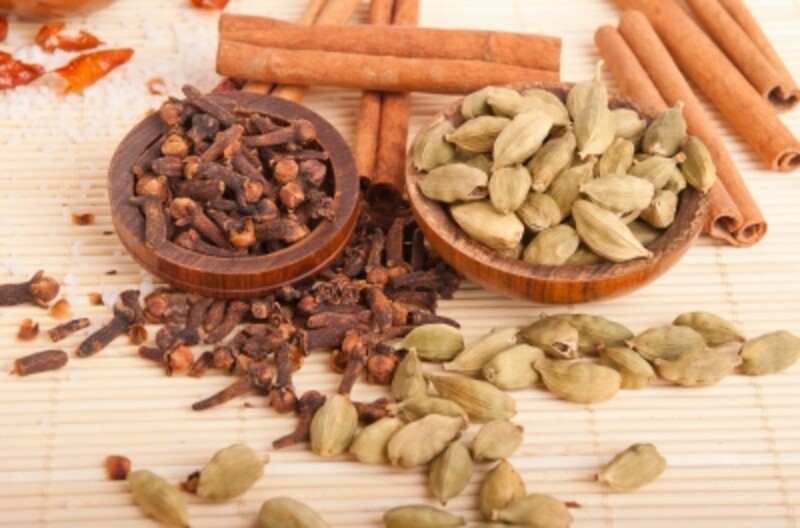 Common spices are some of the healthiest foods on the planet. 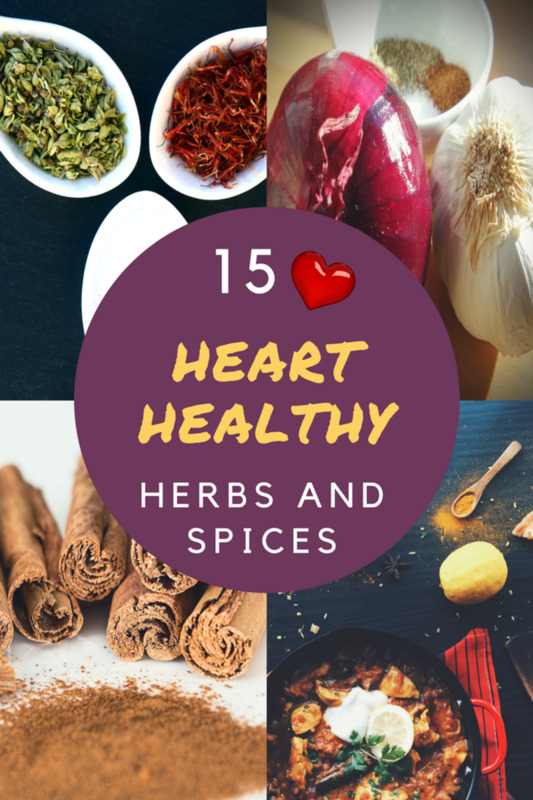 Using herbs and spices for healing is really nothing new. 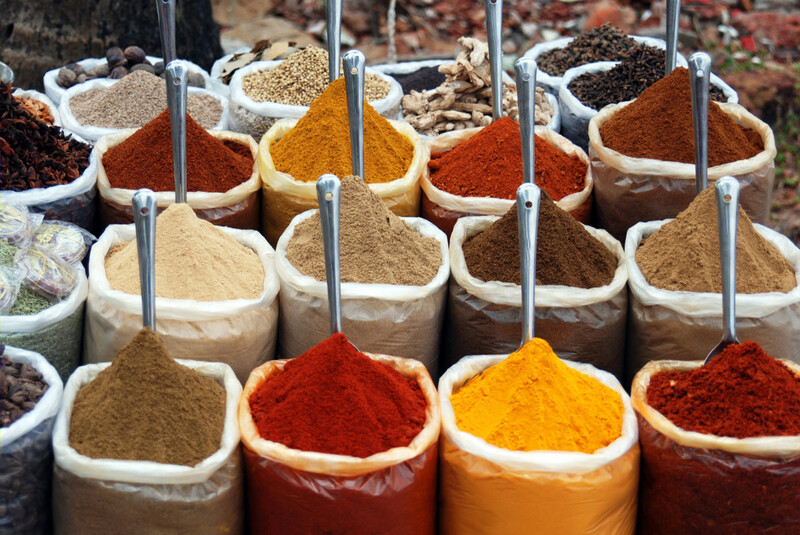 People have relied on kitchen spices for healing for thousands of years. 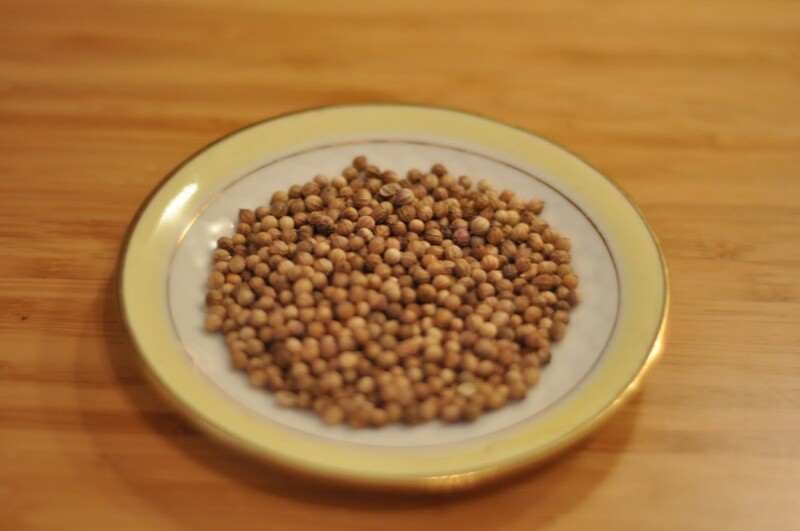 Asafoetida is a digestive spice used in most Indian foods. 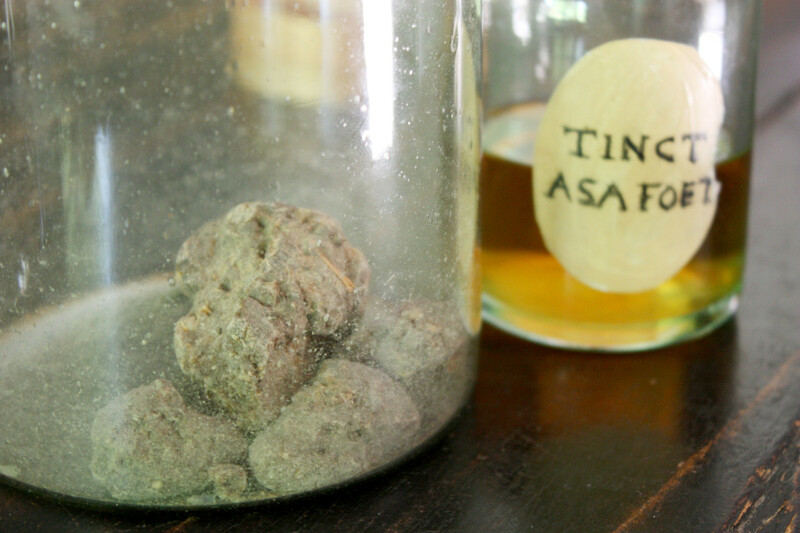 Read about the many reported benefits of asafoetida, or Hing, as it is called in India. 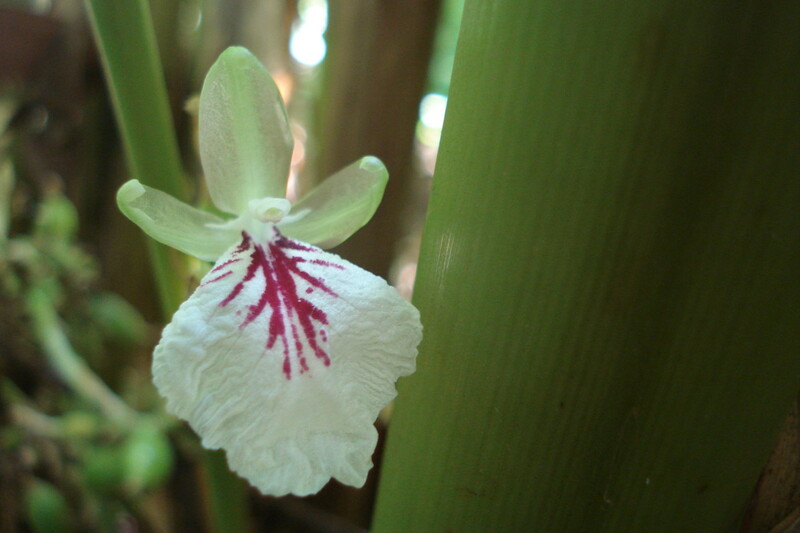 It has been used in Ayurvedic medicine for centuries. 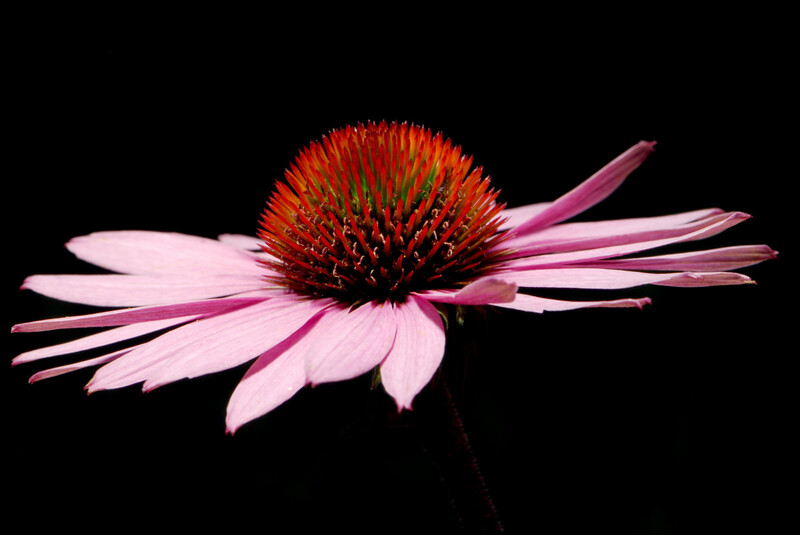 Learn how echinacea helps your body fight infection. 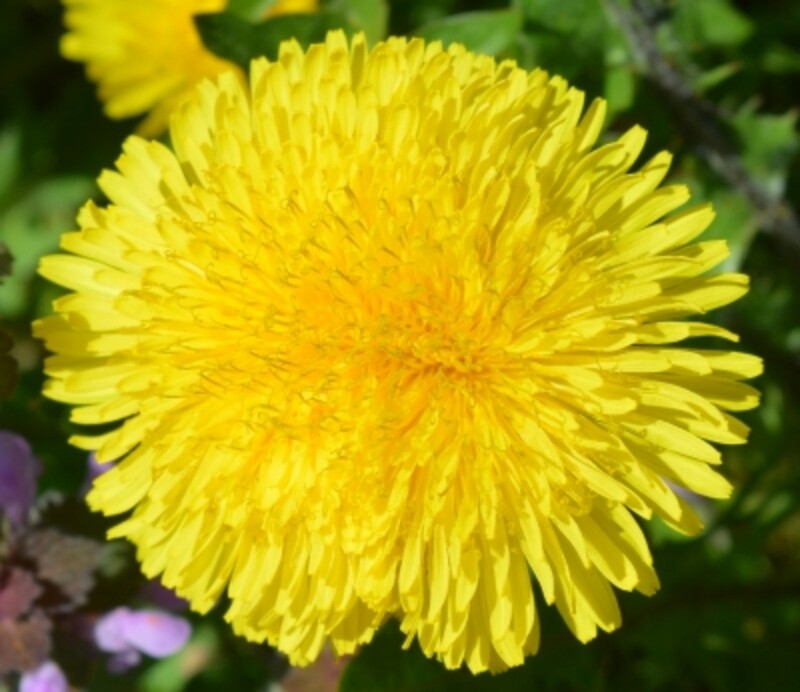 Discover the wonderful health benefits of dandelion root. 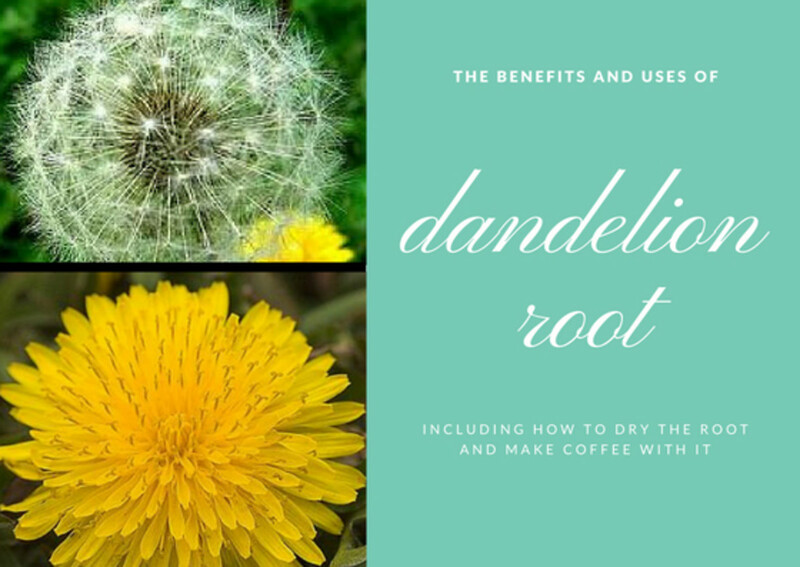 Used for years as a body detoxifier, learn how to make dandelion root coffee. 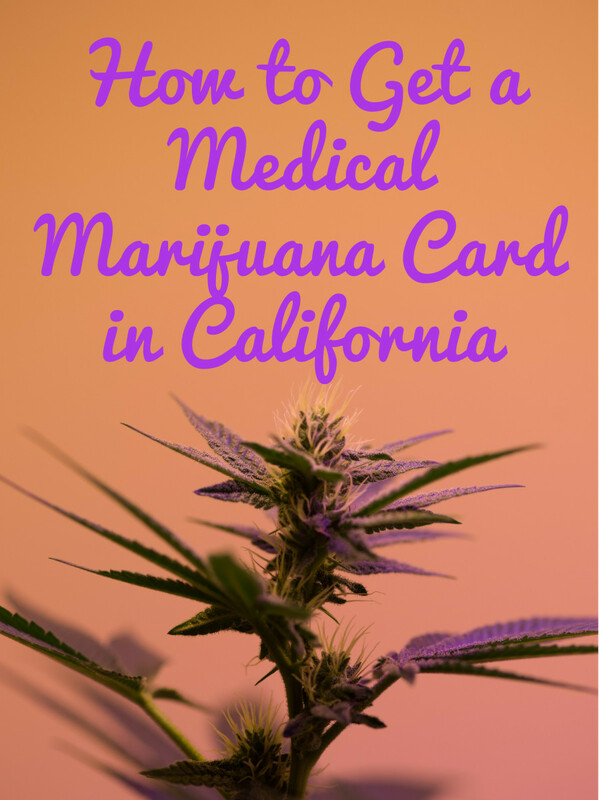 A guide to obtaining a medical marijuana ID card in the state of California. 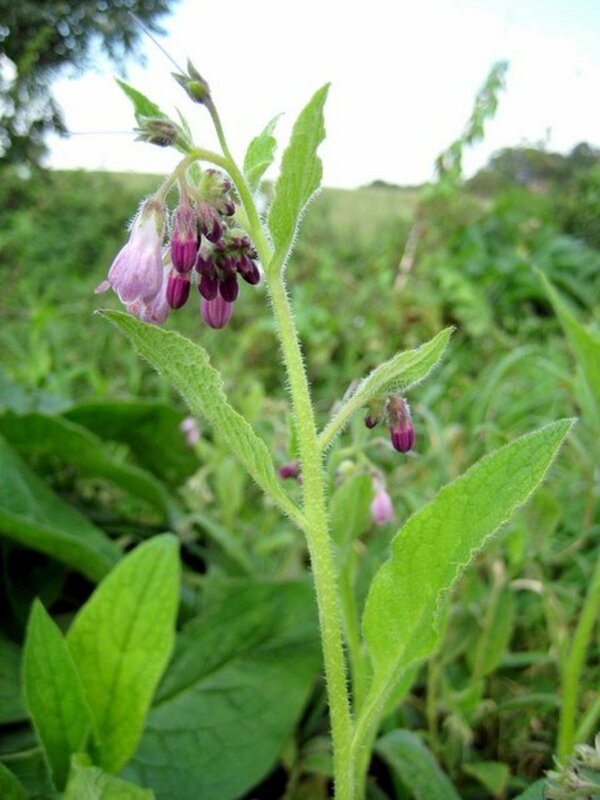 It is very important to know which parts of a plant can be used for medicinal healing. It is also important to know how to properly dry and store them. 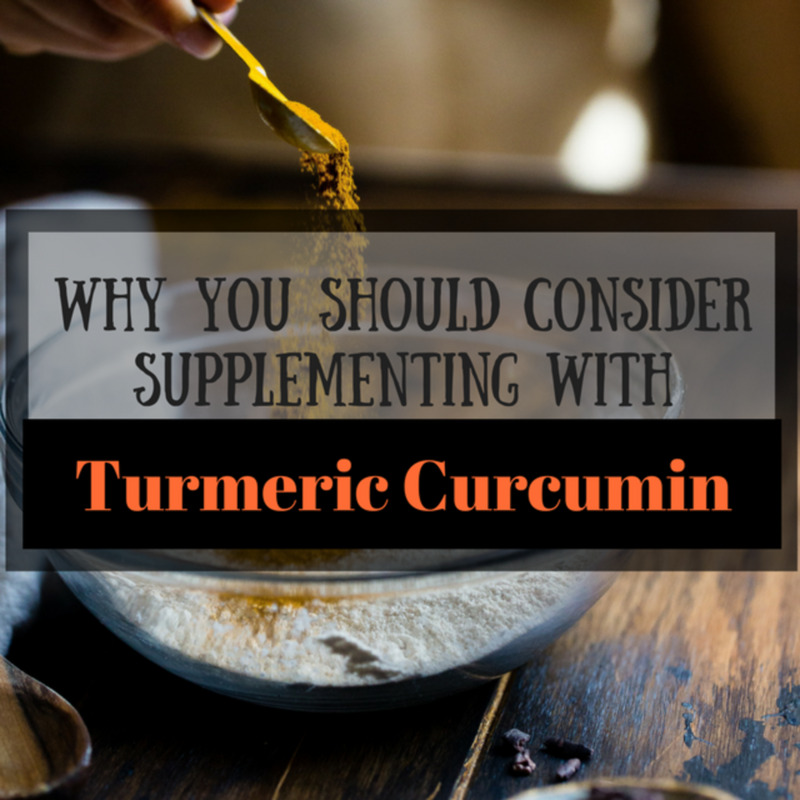 Turmeric has useful properties which this article explores. 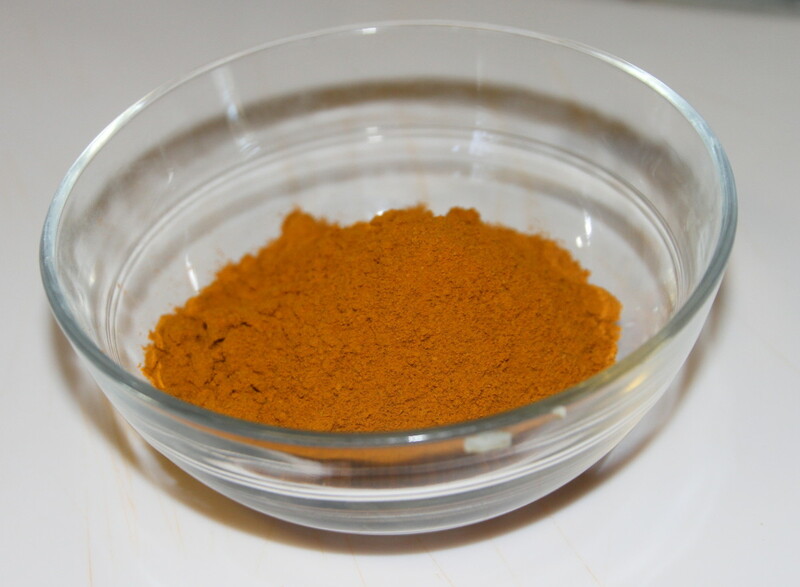 The spice can be used in foods and in drinks. 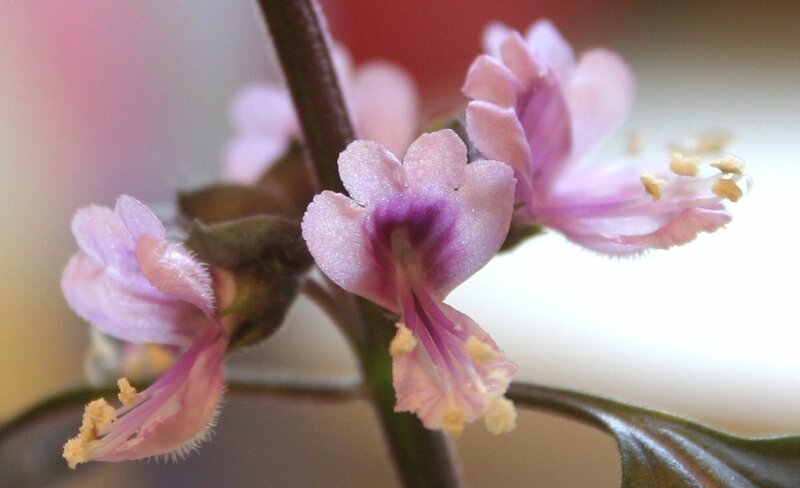 Learn about the benefits of several culinary healing herbs: marjoram, oregano, and savory. 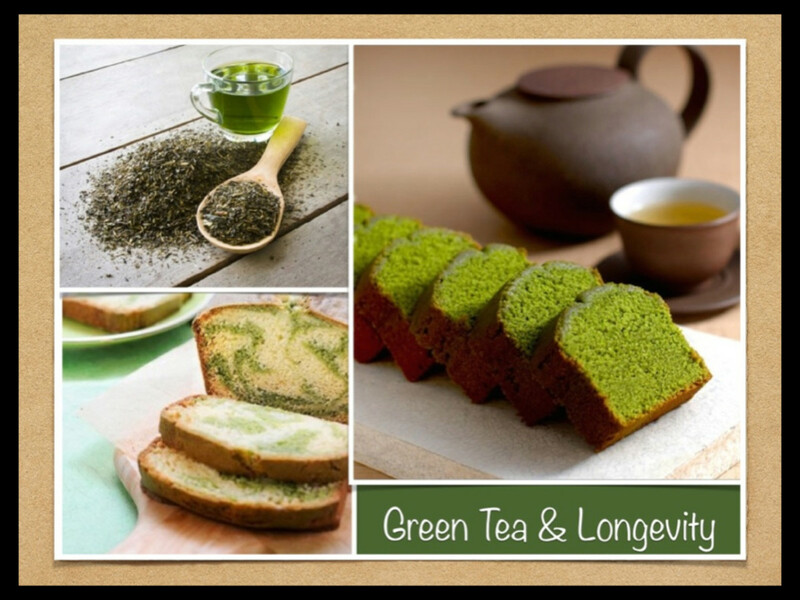 Discover their nutritional components and how they can improve our overall health. 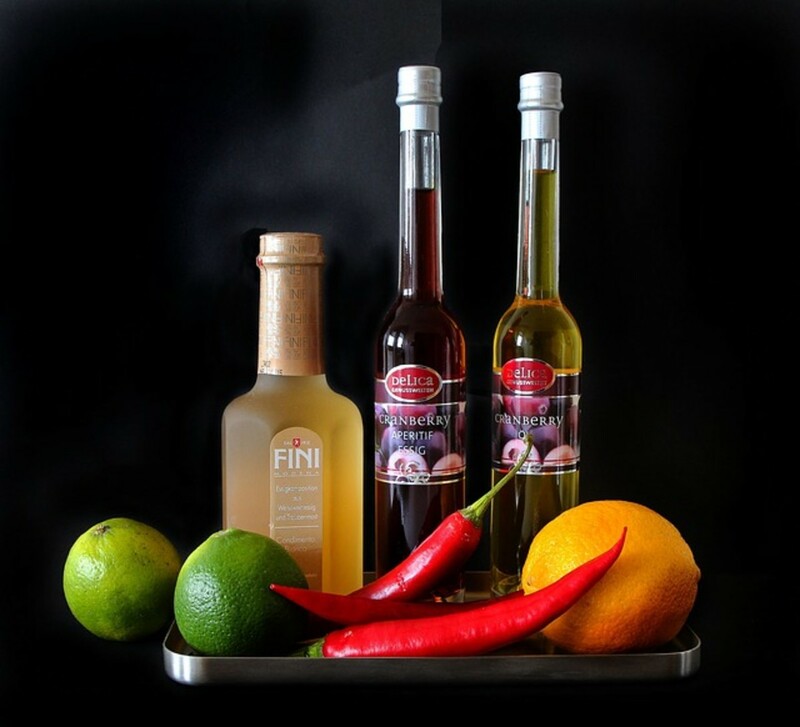 There are many types of oil that you can use in your cooking. 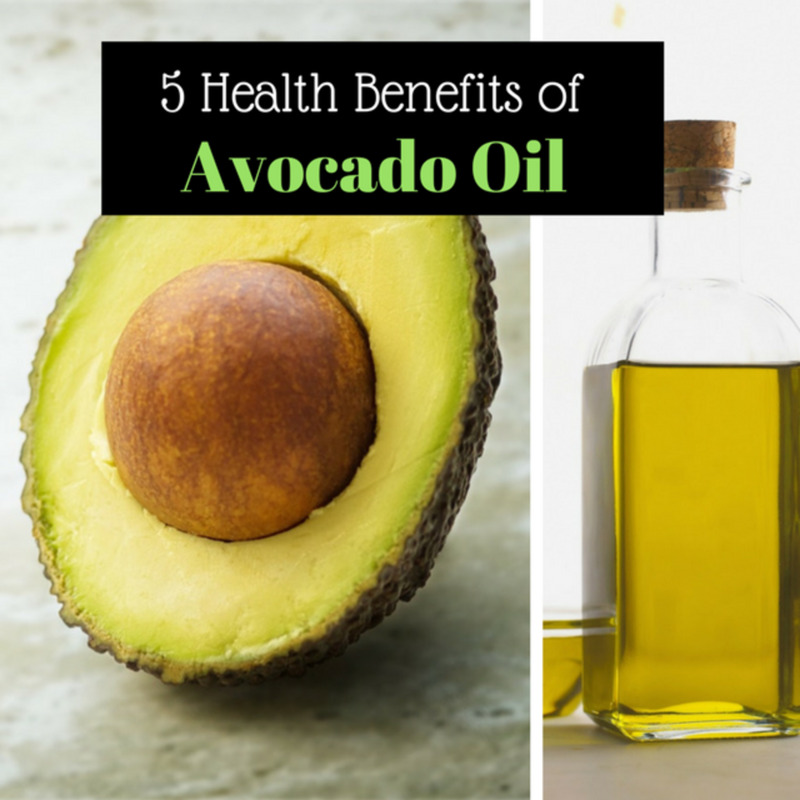 Since some oils are healthier than others, you might want to check out these five excellent choices. 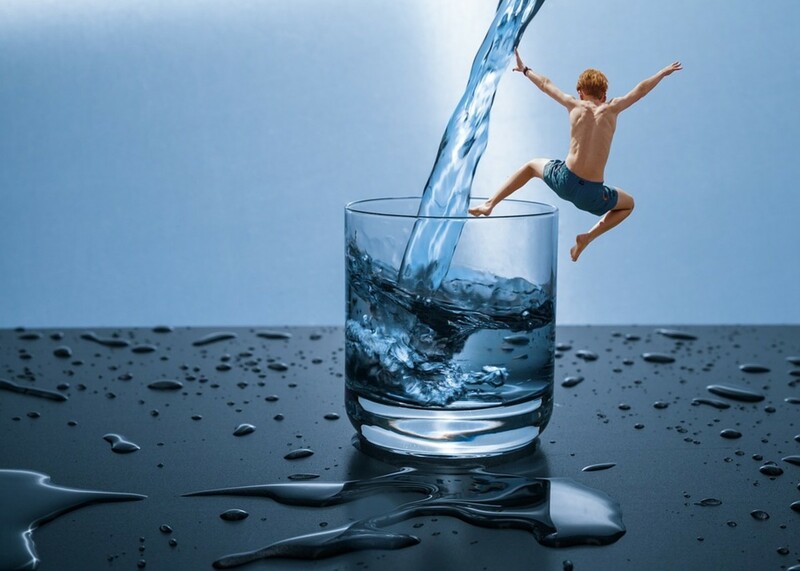 Drinking water plays a crucial role in good health. 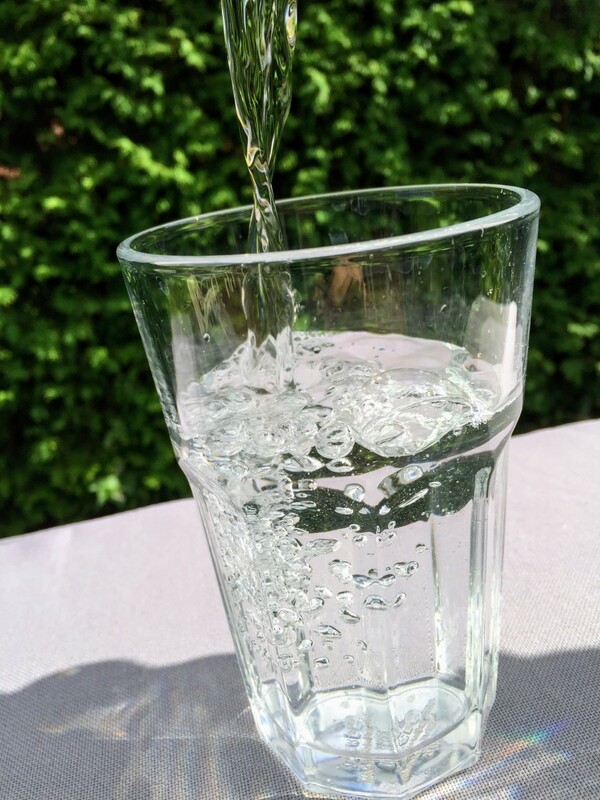 Most people don't know or think about the amazing benefits water brings to our bodies, but here they are, along with tips for getting your quota. 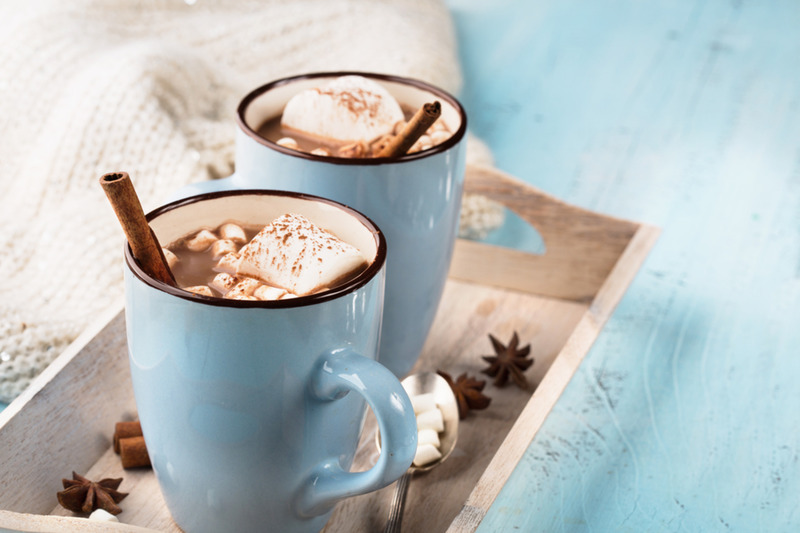 You do not have to run to the drug store every time you are feeling under the weather. 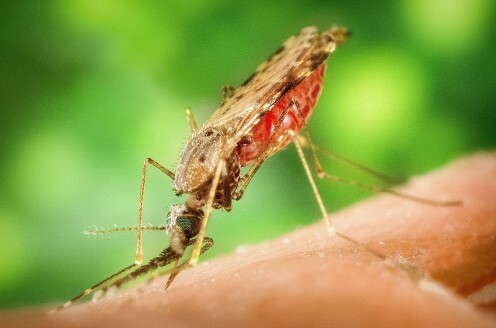 All you need to do is go into your kitchen to treat pain, stomach problems, skin conditions, and insect bites. 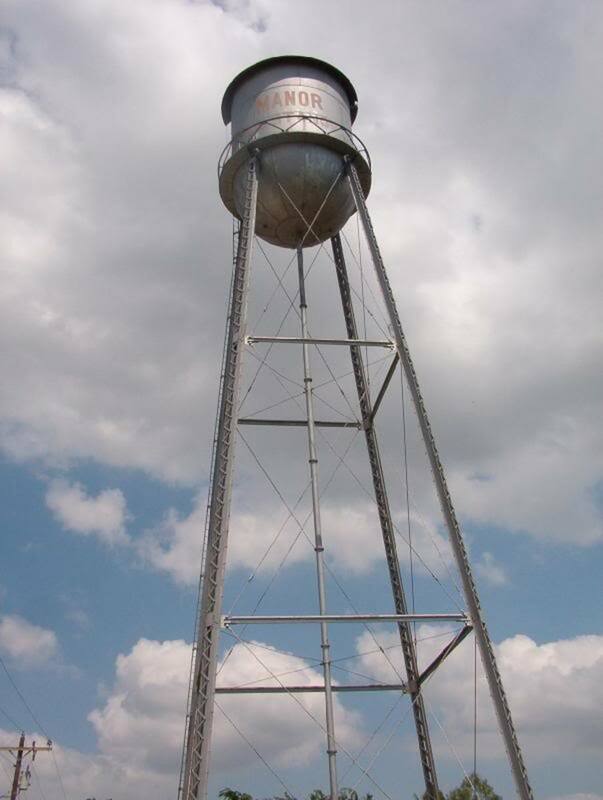 Everything you ever wanted to know about proper water use, storage, and consumption in day-to-day life for a healthier you. Milk kefir, kefir mushroom, or Tibetan mushroom are all names for the same product. 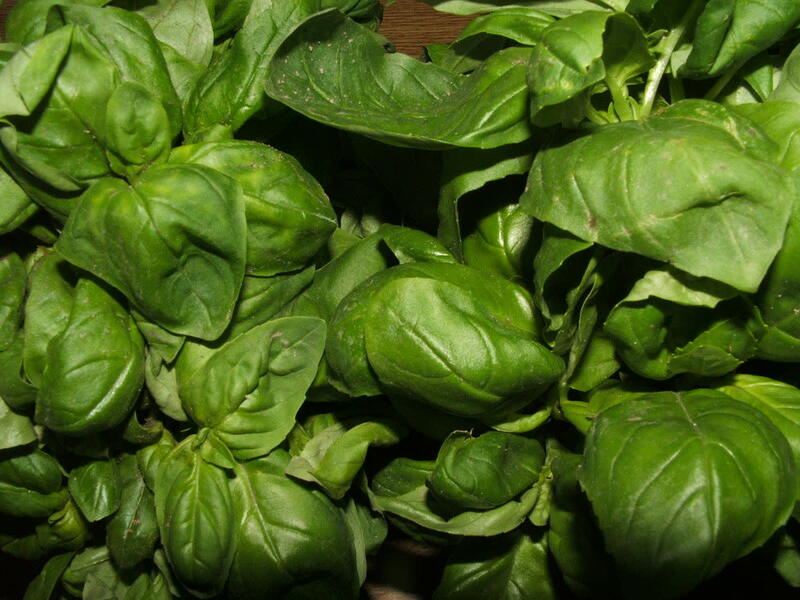 Many consider it to be almost a panacea, fighting a number of diseases. 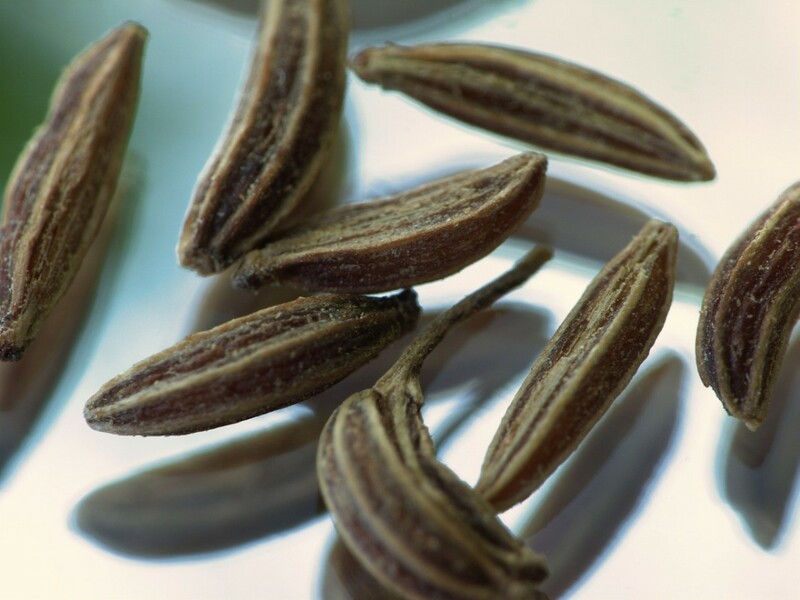 While used as a spice for many dishes, black cumin seeds are effective at treating a wide variety of illnesses and diseases. You can find them at most health food stores. 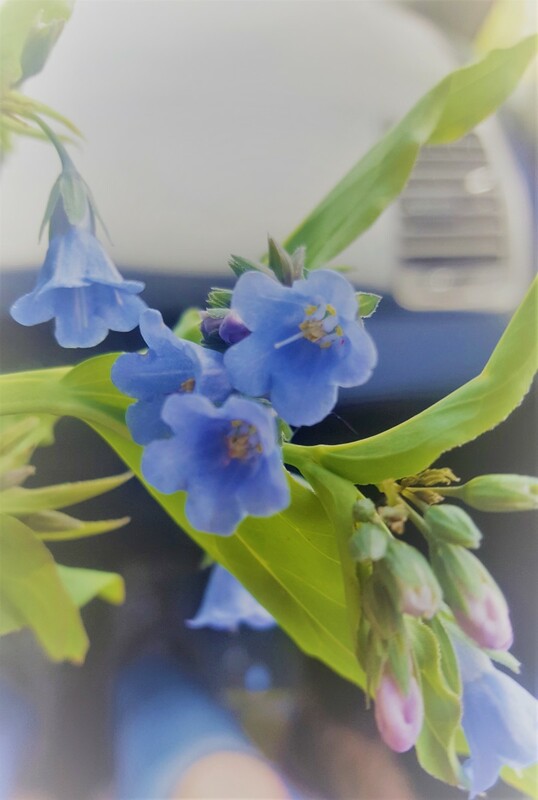 I tried out Reflora by Naturella Made. This product promises to give you "good bacteria" (probiotics) to fix problems down under, including UTIs, yeast infections and more. 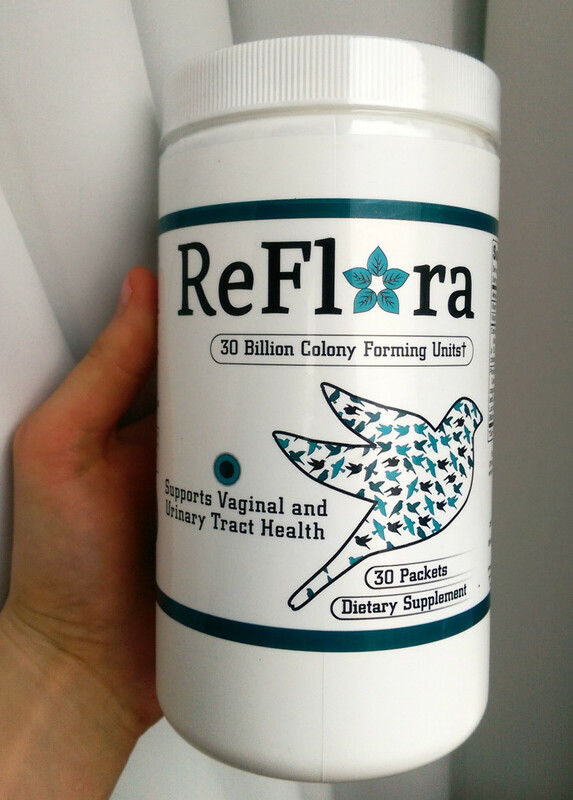 Reflora Probiotics for Your Intimate Parts: Does It Help? 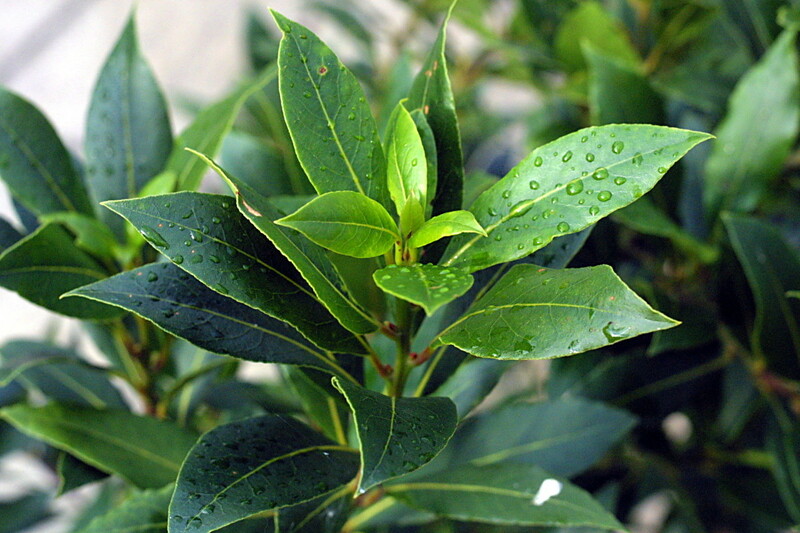 Most teas come from the Camilla Sinensis plant. 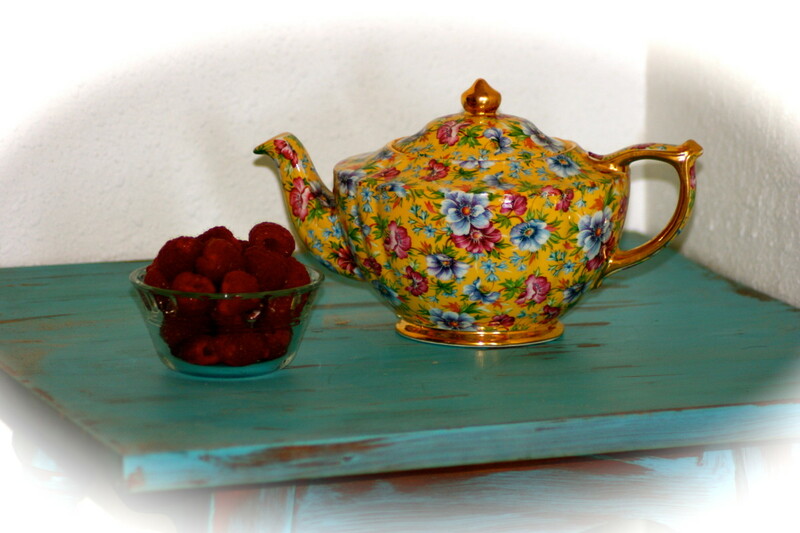 However, did you know that you can brew your own tea from herbs that you grow in your garden? You hear a lot about aloe vera and the miracles it seems to offer. 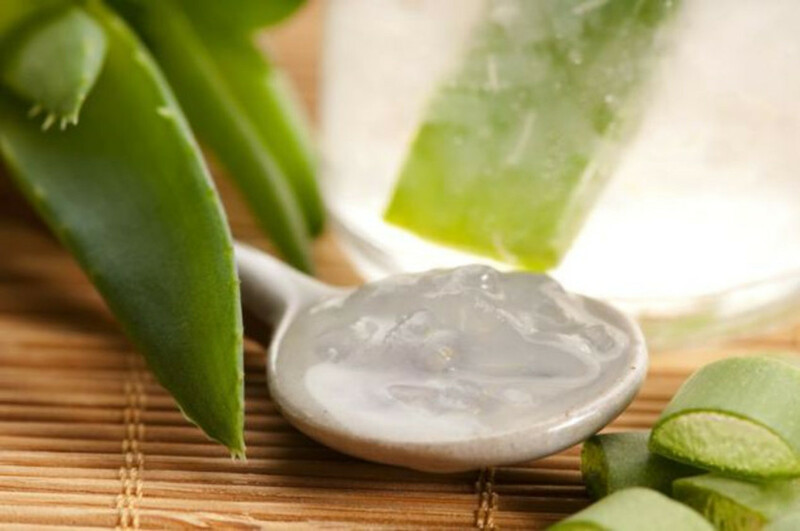 What does aloe vera offer and what are some common side effects of its use? 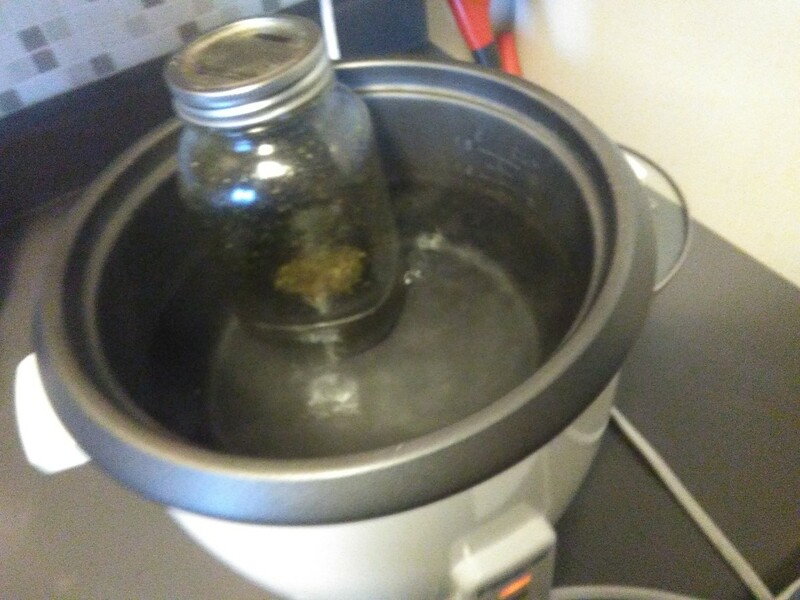 An easy DIY recipe for Cannabis oil that will last for about 6 months. 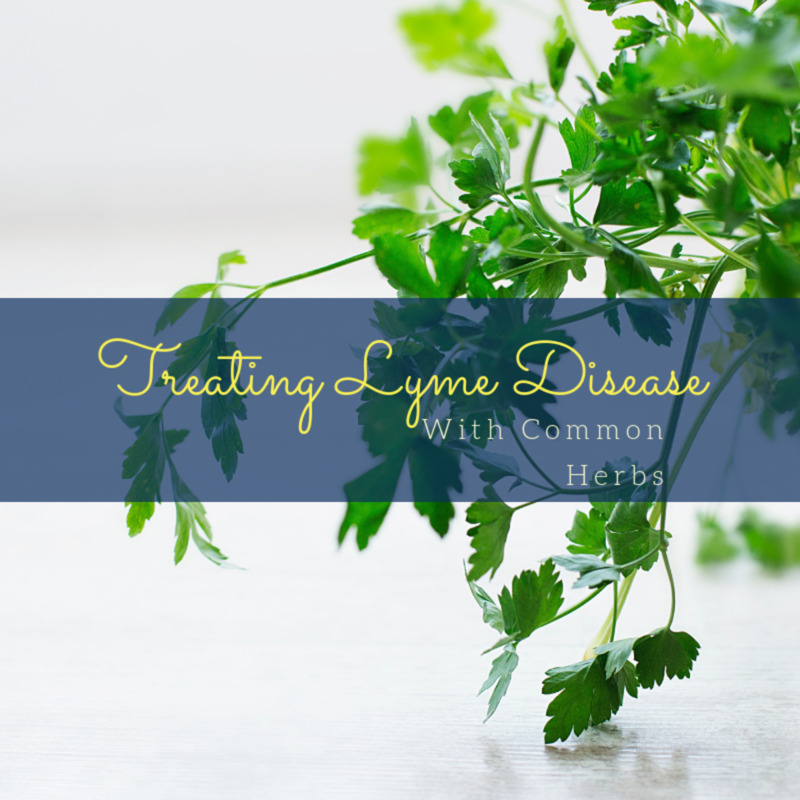 Lyme Disease has become a very political and contraversial diagnosis which leaves those suffering with Lyme forced to become very educated and make alot of their treatment decisions independently. 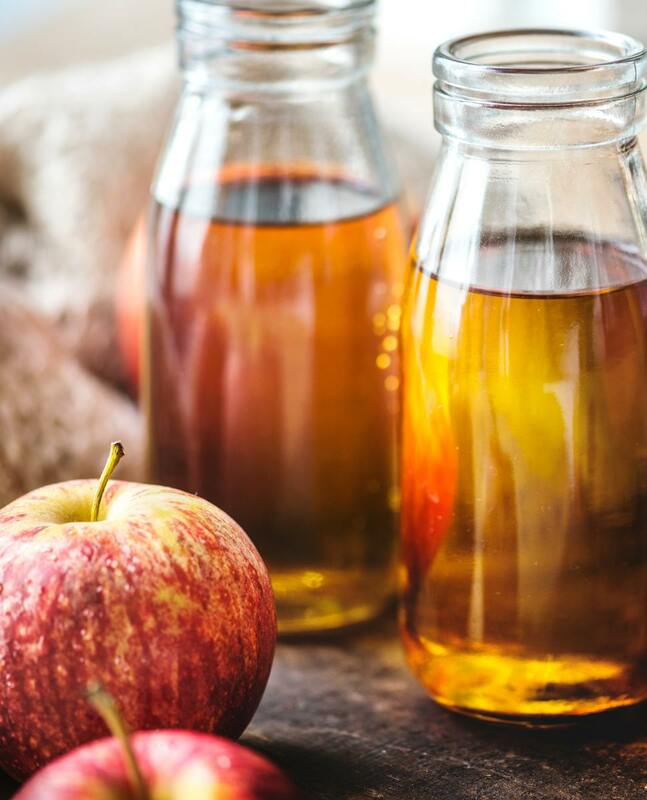 Discover the numerous benefits and uses of natural apple cider vinegar—it is sure to solve any ailment or cleaning problem. 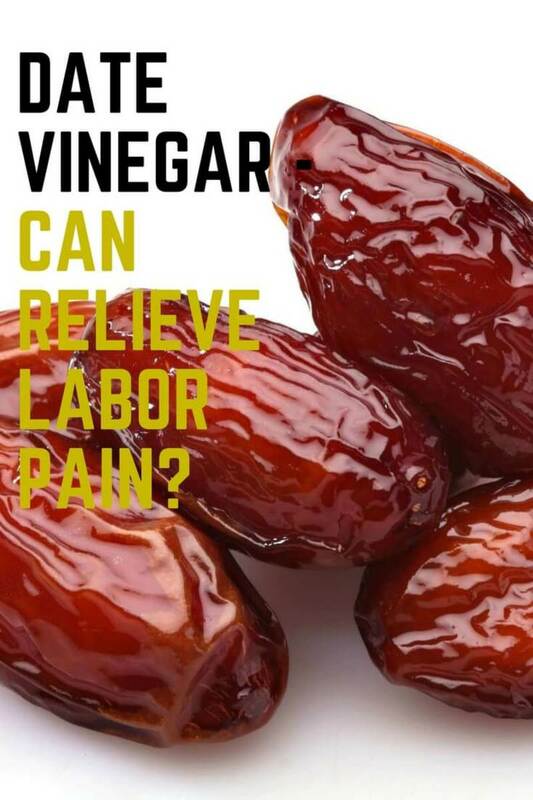 This article explains the reason why everyone needs a bottle of vinegar in the house. 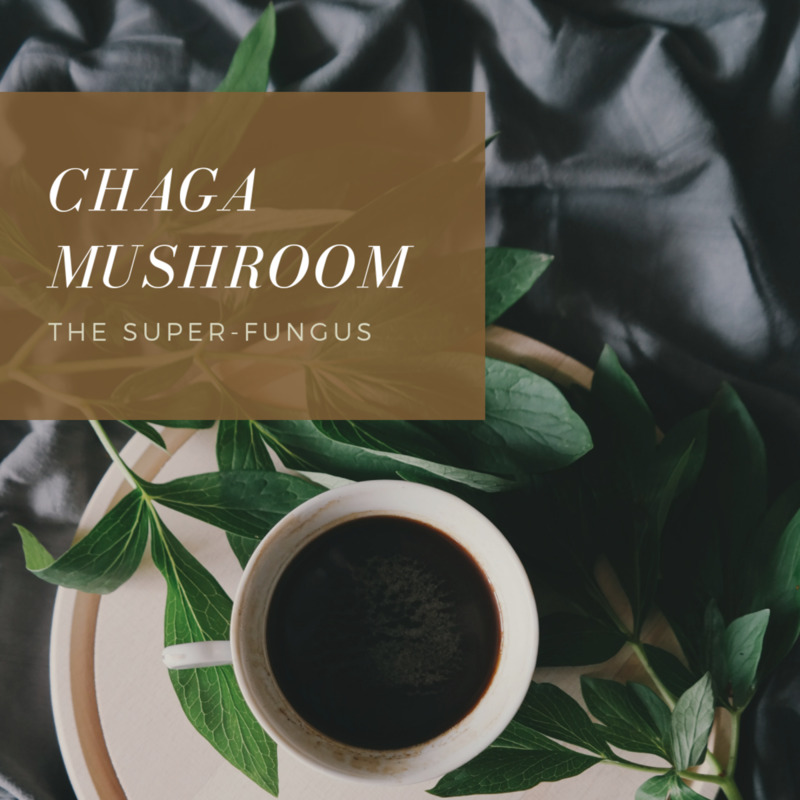 Chaga mushroom is a quickly emerging supplement on the superfood scene. 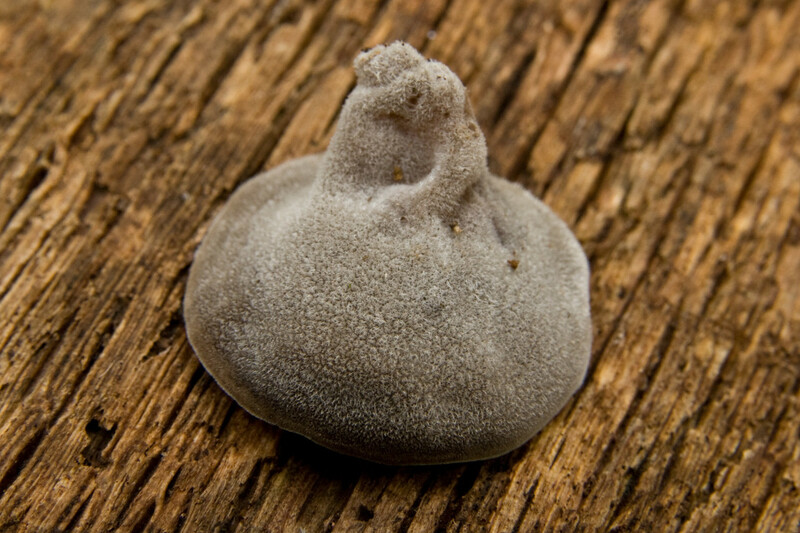 It's actually a super-fungus. 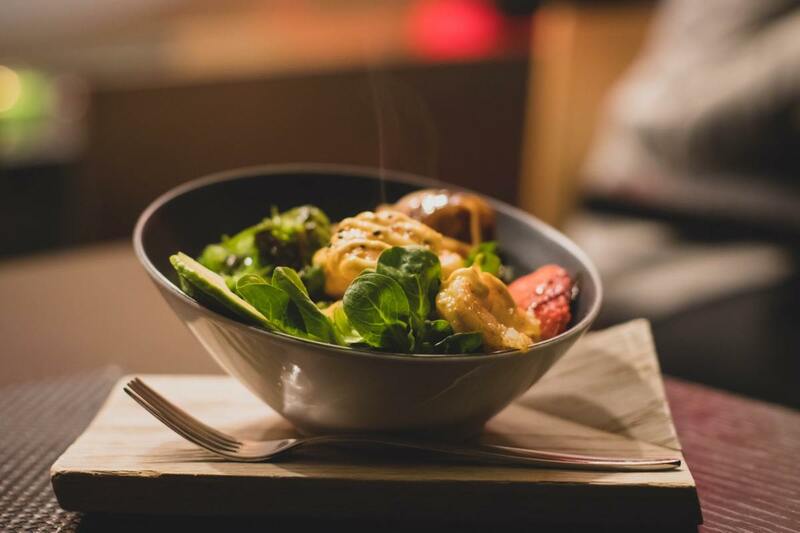 While its appearance doesn't resemble that of your typical fungus, this humble mushroom is loaded with goodness.